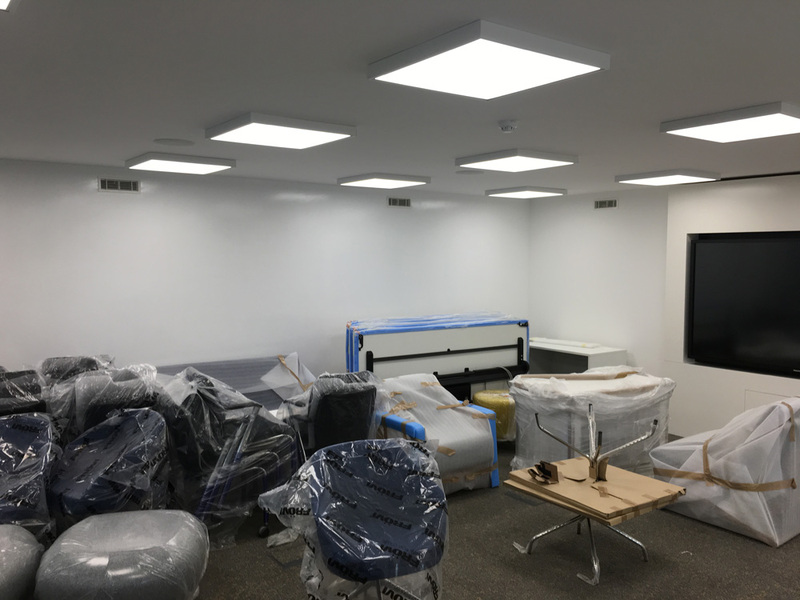 An absolute monster of a job spread over five floors with over 8000m2 of ceilings painted to the storage areas, offices, lift areas, training centre and corridors. 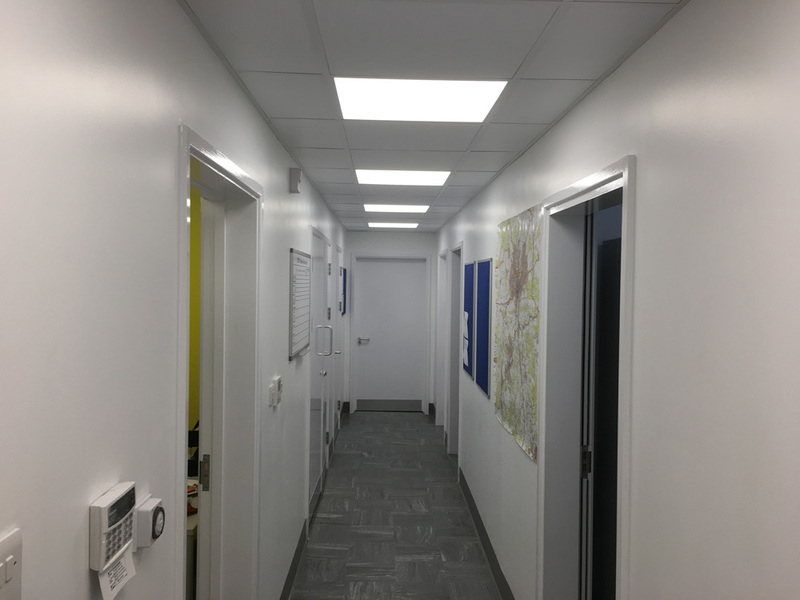 Finished in Acrylic Eggshell after three months of hard work this job was handed over without one snag from the client! 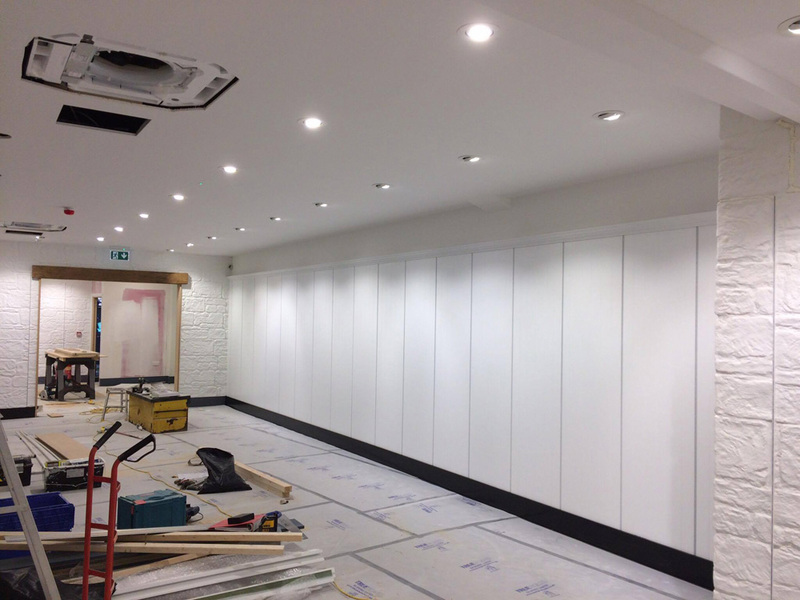 A very satisfying job which went very smoothly from start to finish. 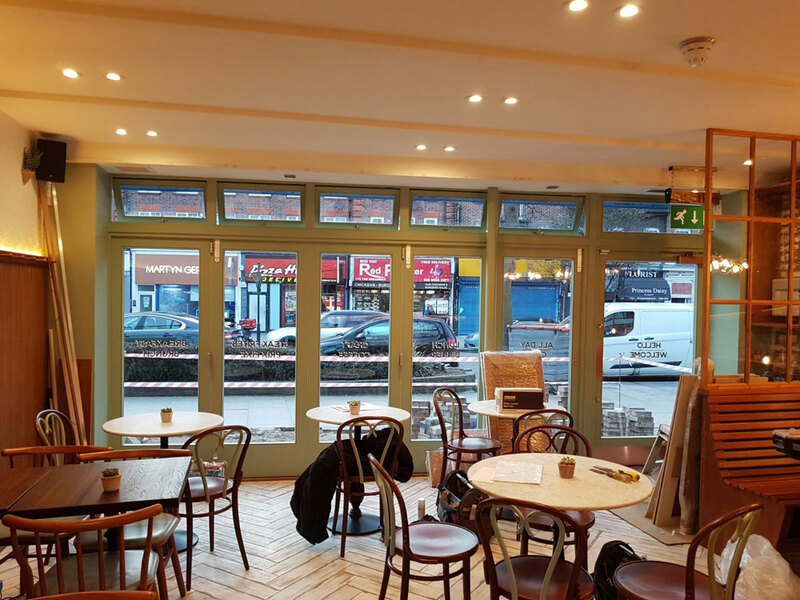 This small Café / Restaurant was completed in 5 days with old timbers primes and finished in Acrylic Eggshell. 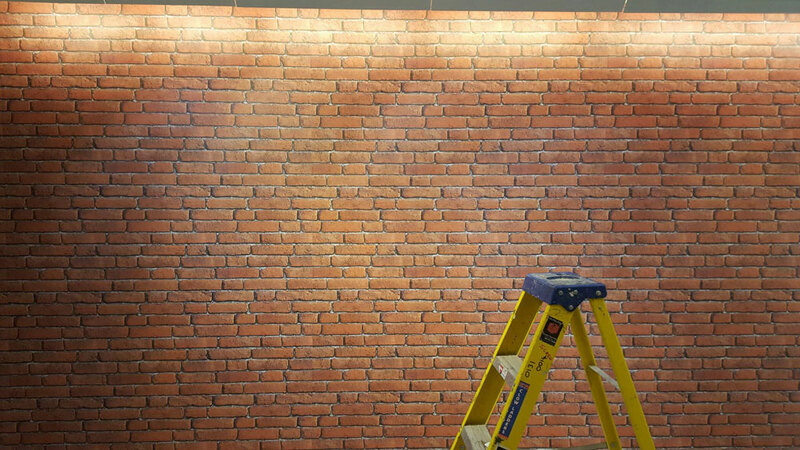 Anaglypta was applied to the higher-level walls. 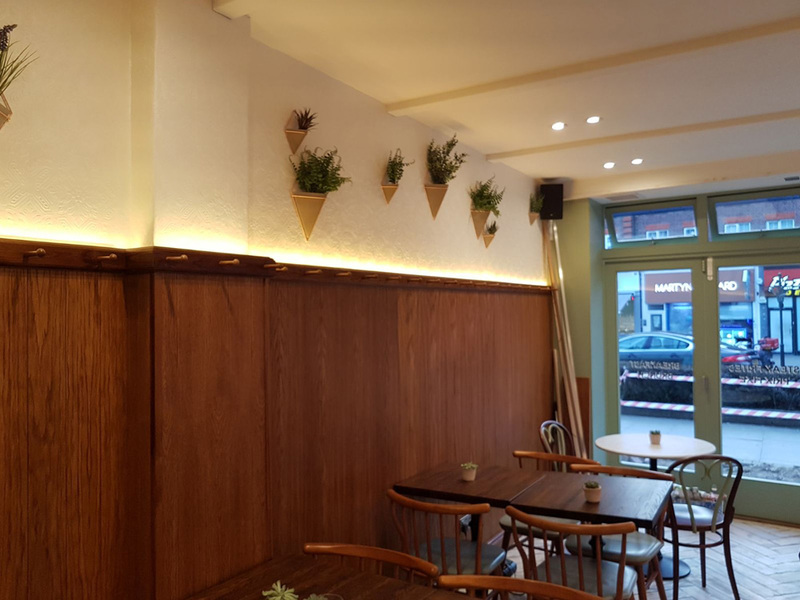 This was a trying project with all trades being in the same area, but this did not deter our decorators who completed it with ease and quality. 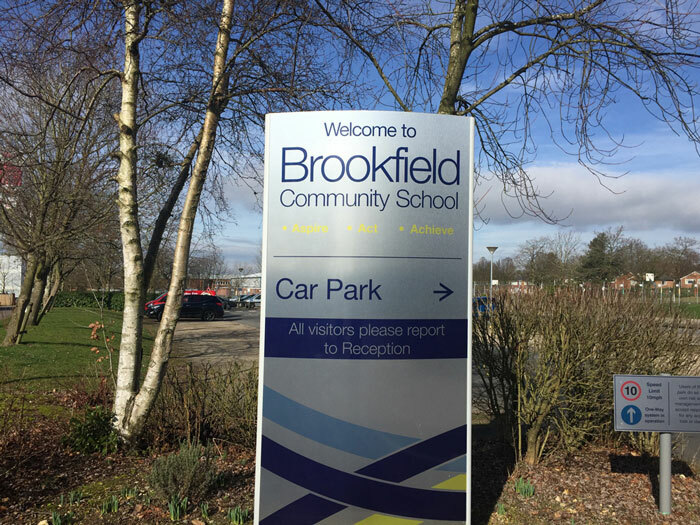 Brookfield Community School is a large state funded secondary school located in Locks Heath. 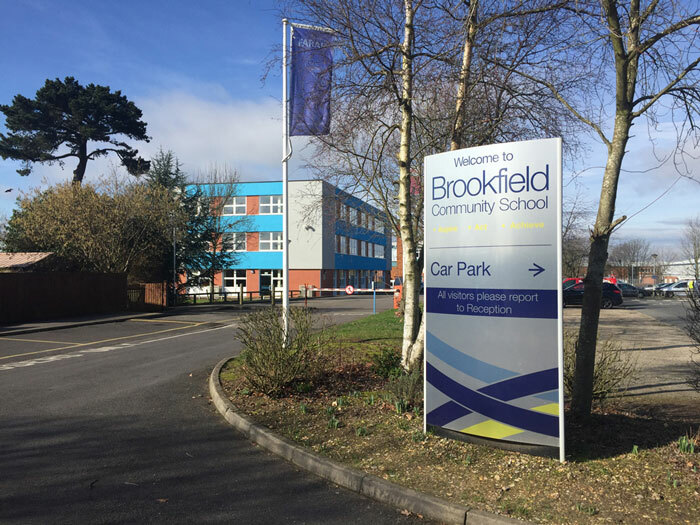 Brookfield is one of the largest Co-Educational Comprehensive Secondary Schools in Hampshire with approx. 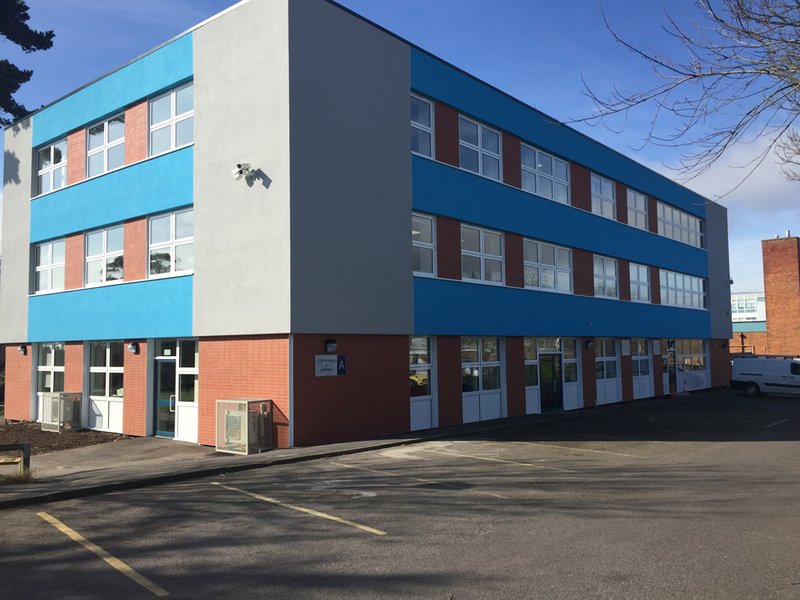 1700 students and 120 teachers employed at the school. 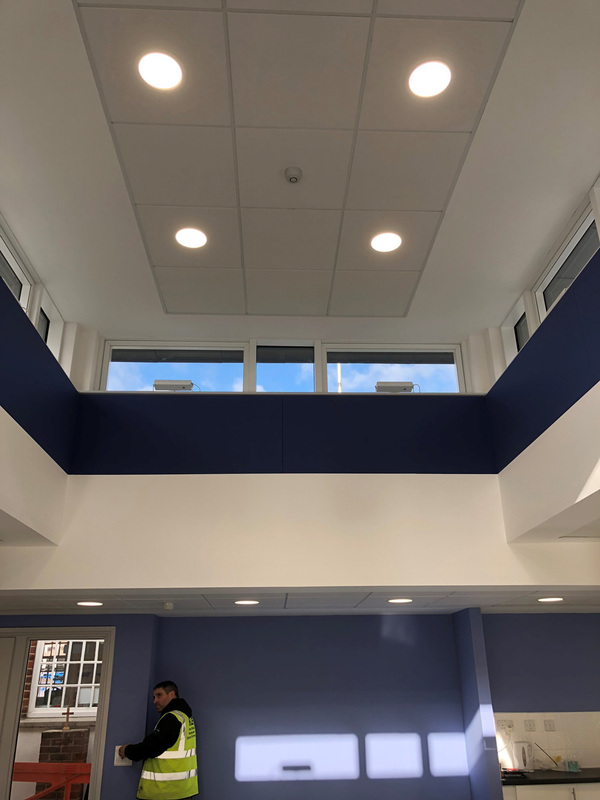 The contract we secured on this campus was a three-storey building to have an upgrade (Scola Reclad) consisting of new external fabrics and windows incorporating decorating to internal perimeter surfaces only, but once work started it became apparent the whole building required decorating, costs were forwarded and started within one week with a duration of five months. 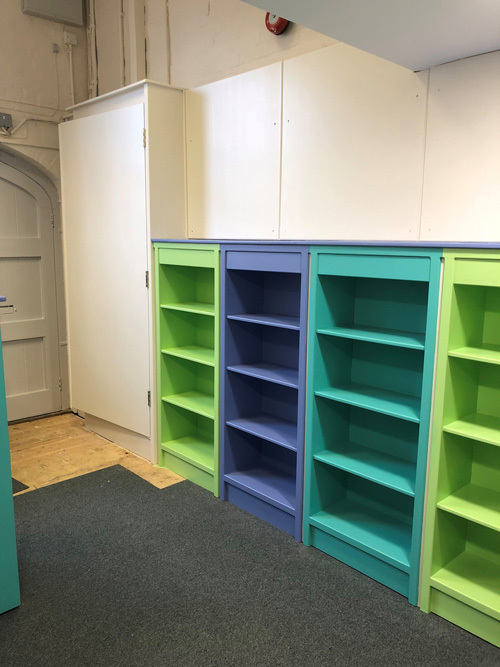 Set colours incorporated Dulux Diamond Matt and Gloss finish to Woodwork and Metalwork. 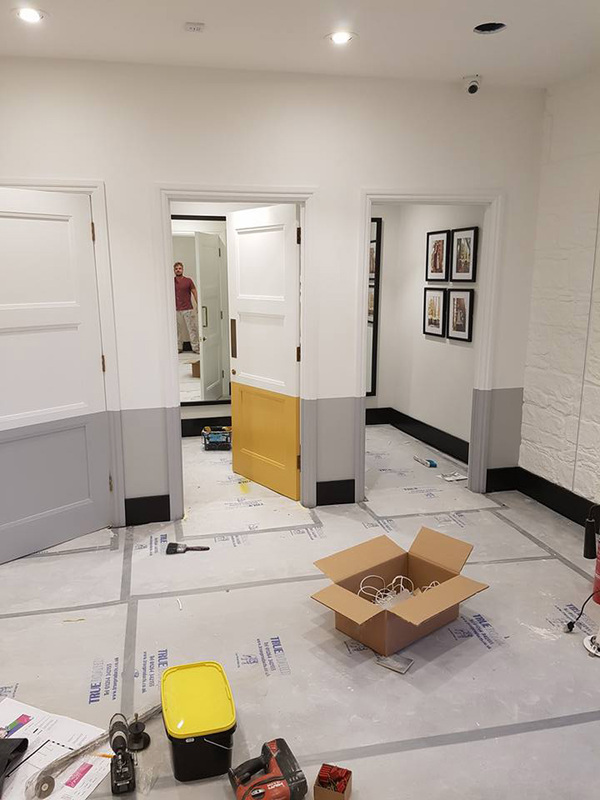 A number of hurdles had to be overcome, but due to the excellent working relationship with our client all works were completed on time and with a delighted client! 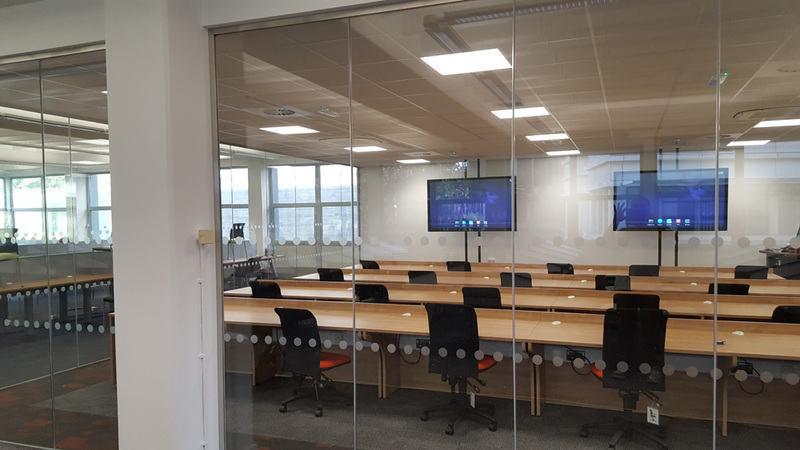 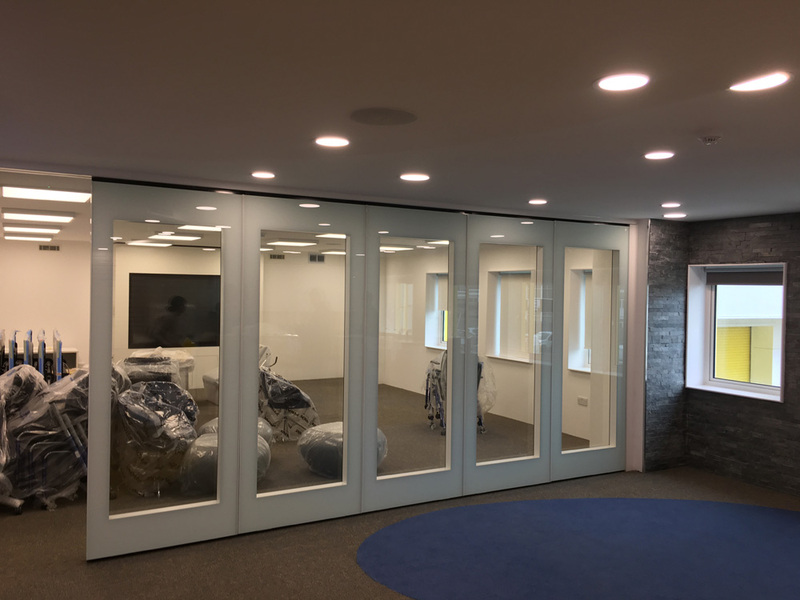 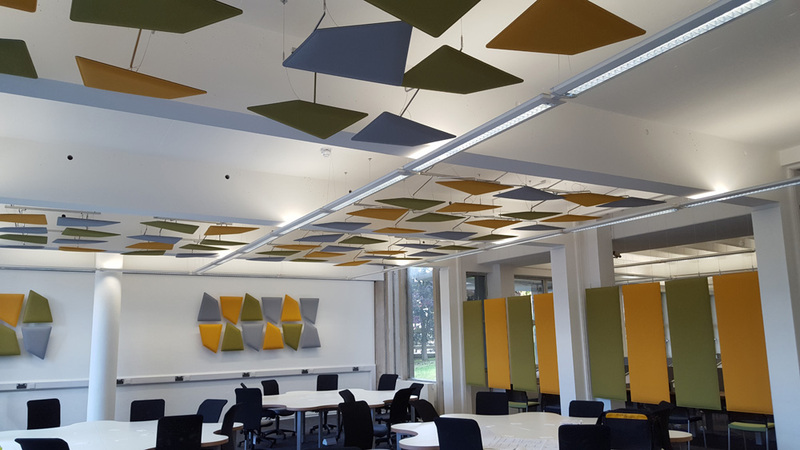 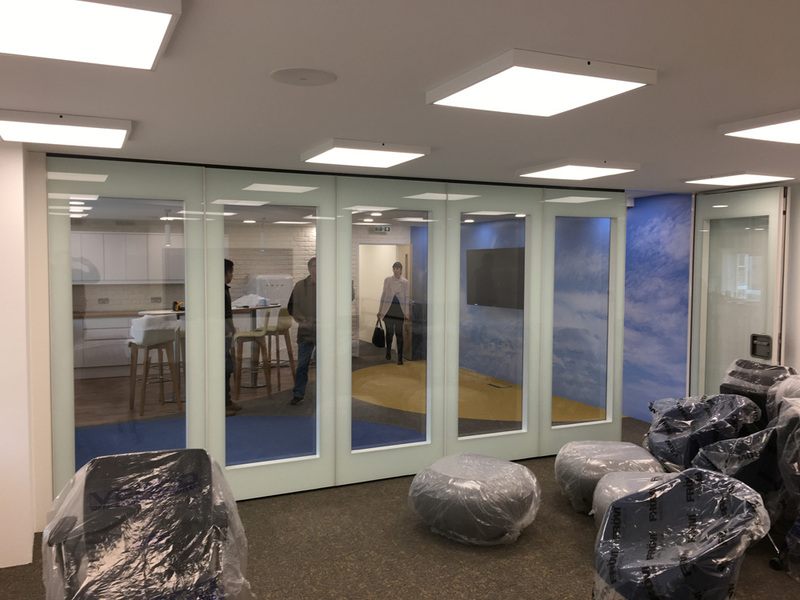 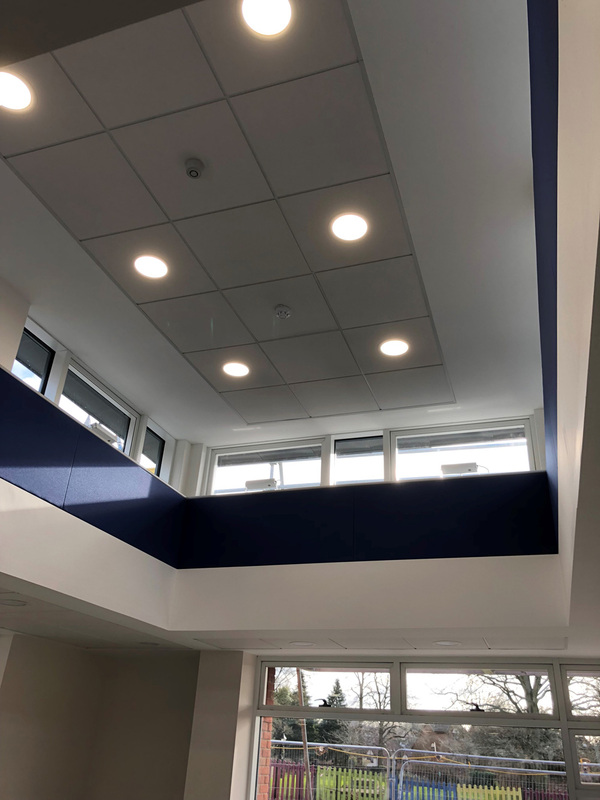 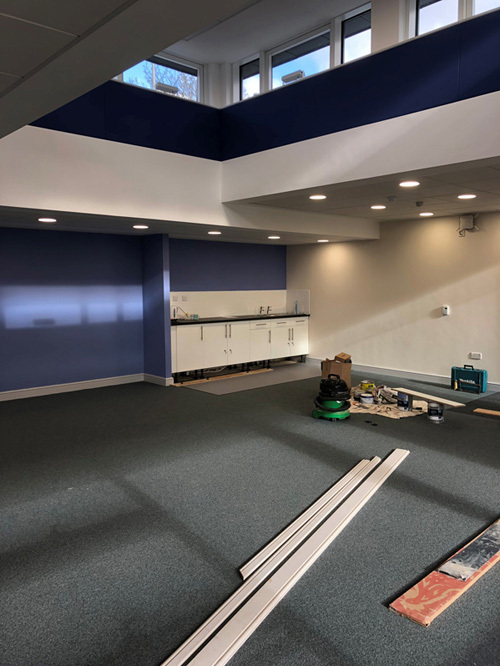 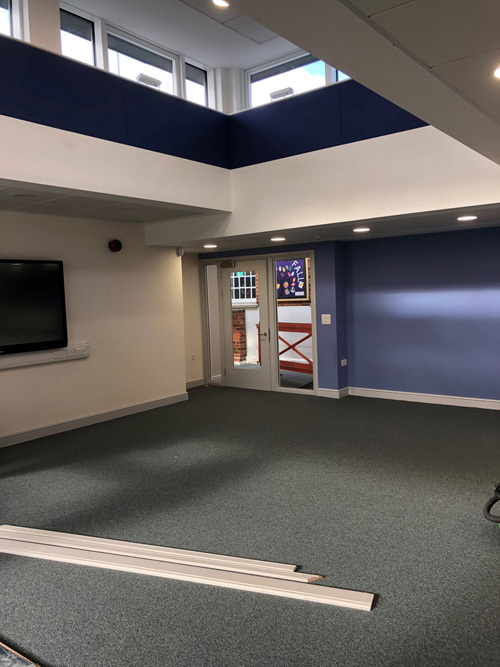 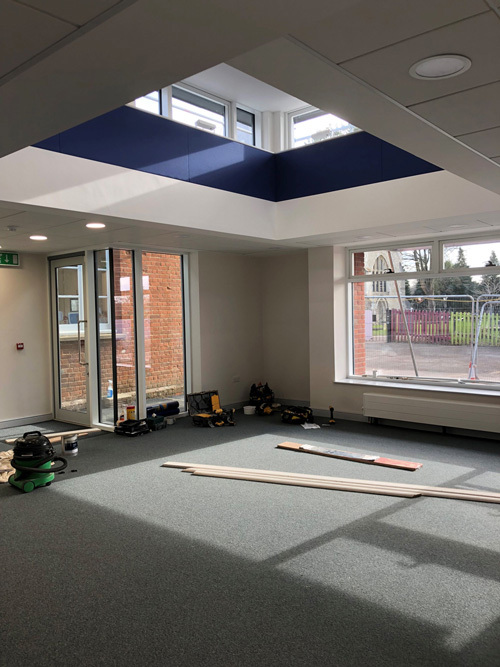 The Library & Quiet Room – Concrete slab ceiling was sprayed out and walls were finished in Dulux Diamond Matt for extra durability, all woodwork was finished with Dulux High Gloss. 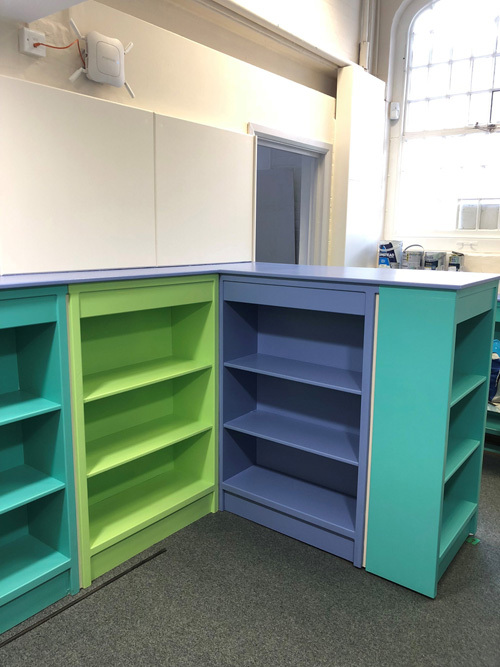 Another project finished on time with a very happy client. 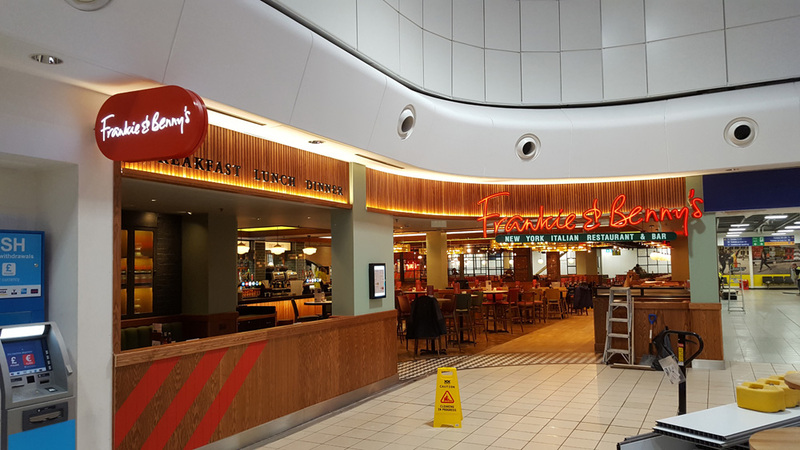 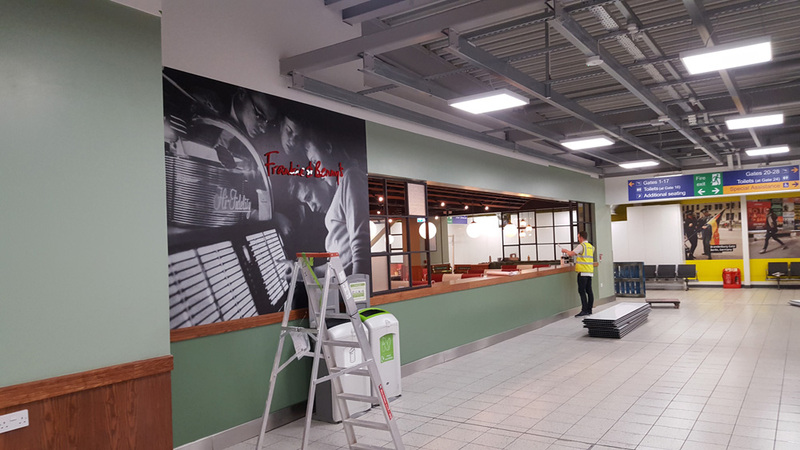 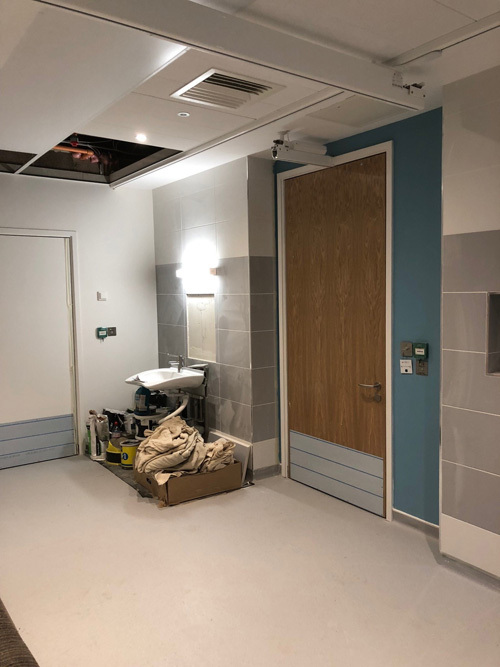 Phillips Decorators Ltd are very experienced in working at airport due to the high security screening processes we are patient and aware of the nature of these projects. 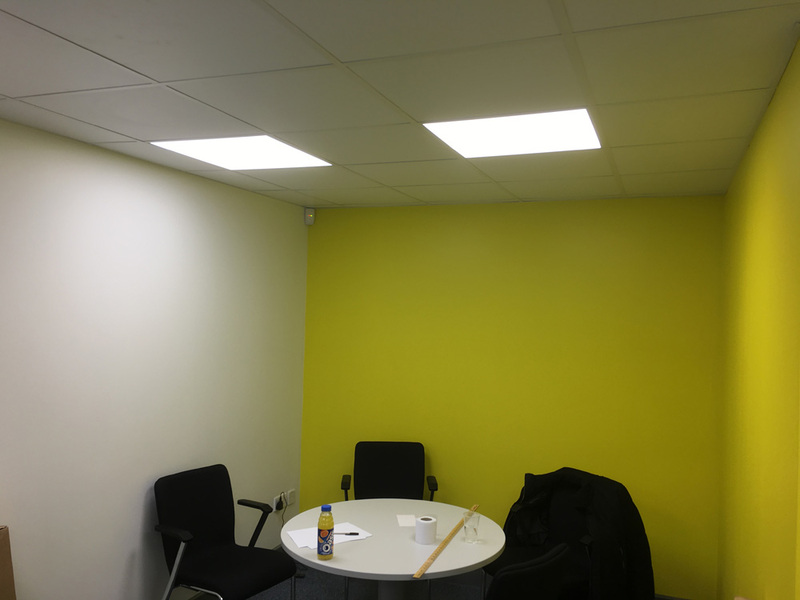 All our qualified decorators achieved a finish as to which the client was very happy with. 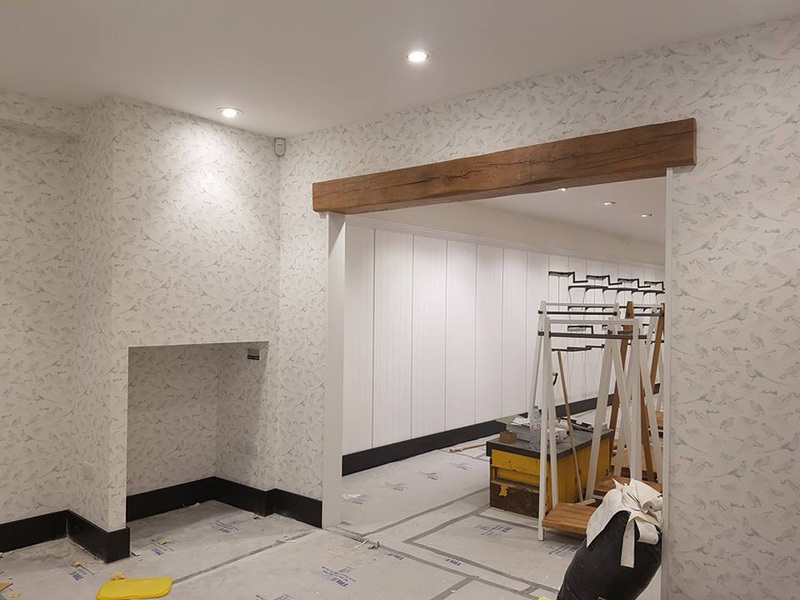 All the timber was coated in Intumescent Paint to comply with the strict fire regulations. 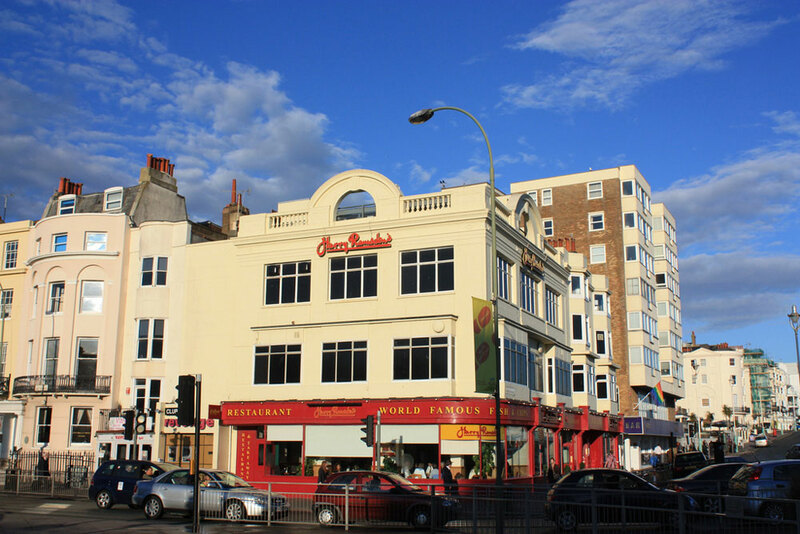 Situated conveniently close to Brighton Pier, Harry Ramsden’s is the perfect place to enjoy traditional Fish & Chips. 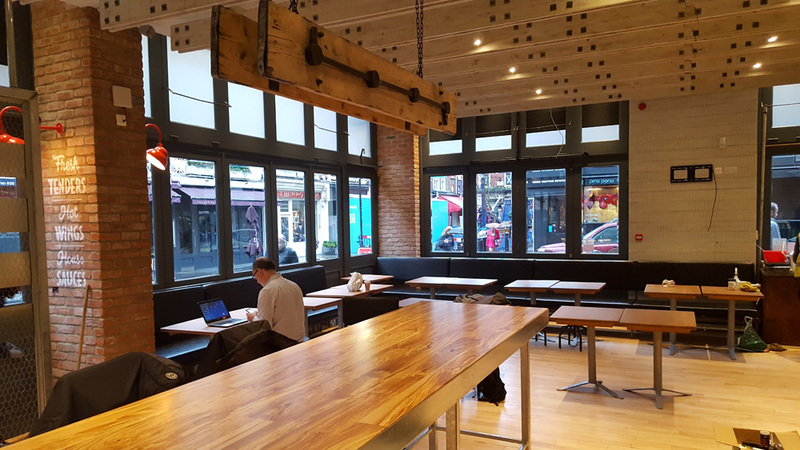 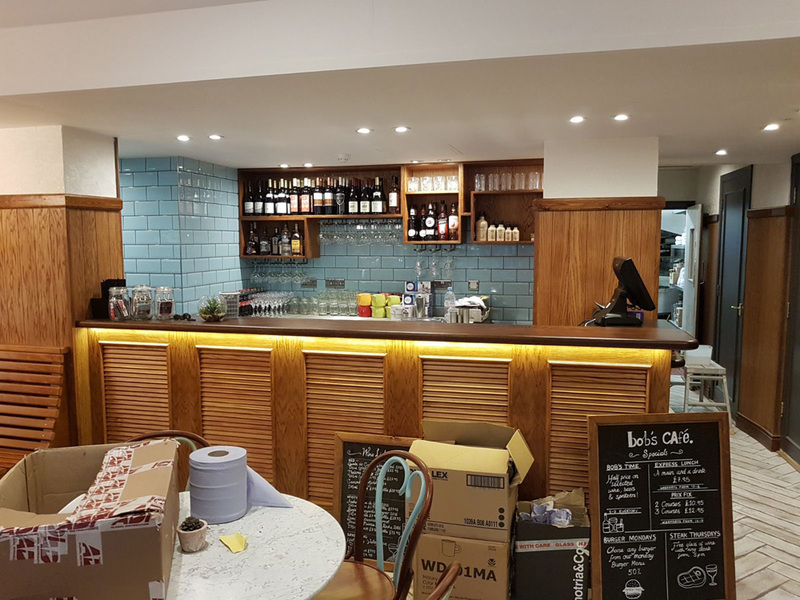 The renovation included works to the restaurant and Take-away areas, but the main body of works was the Shopfront, as you can imagine being sat right on Brighton Promenade the timber shopfront and masonry is “Battered” by the elements 365 days a year. 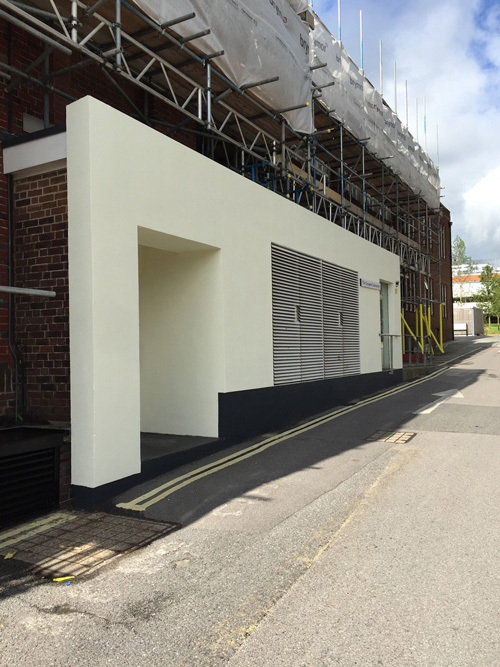 A lot of preparation and care was taken to restore the façade to its former glory. 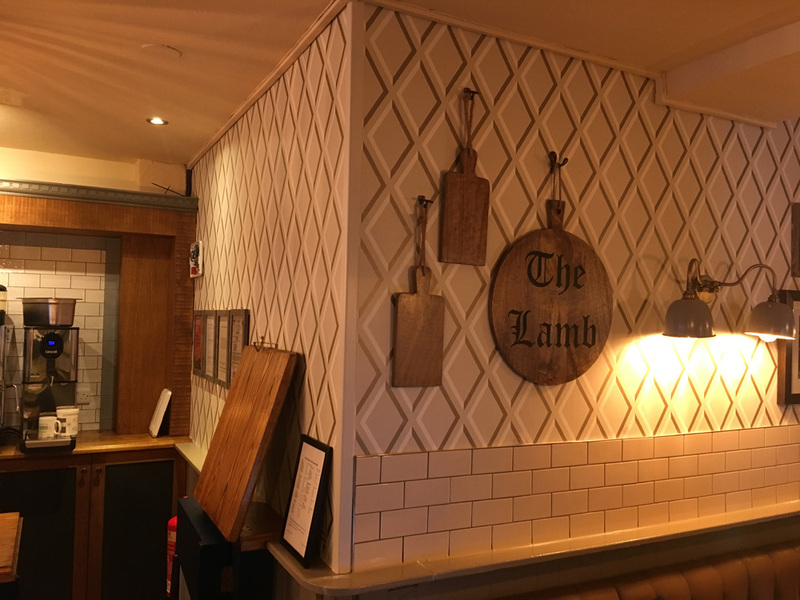 Finished in Dulux Weathershield products in the newly branded Harry Ramsden’s colours, it now looks as good as new, ready for the hungry tourists this Summer! 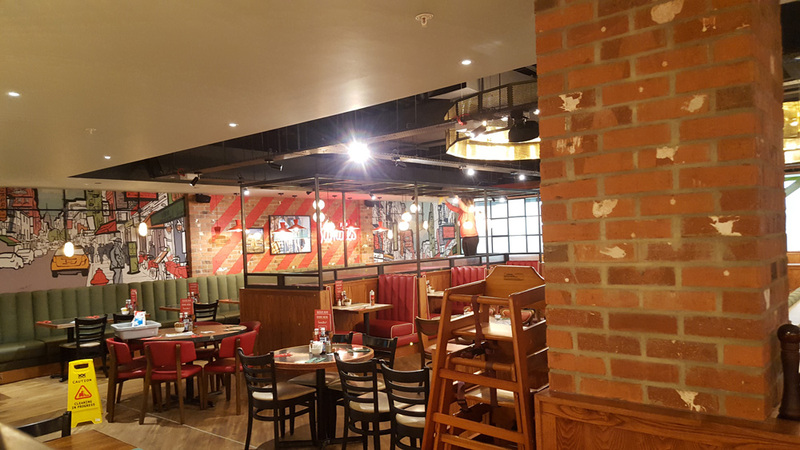 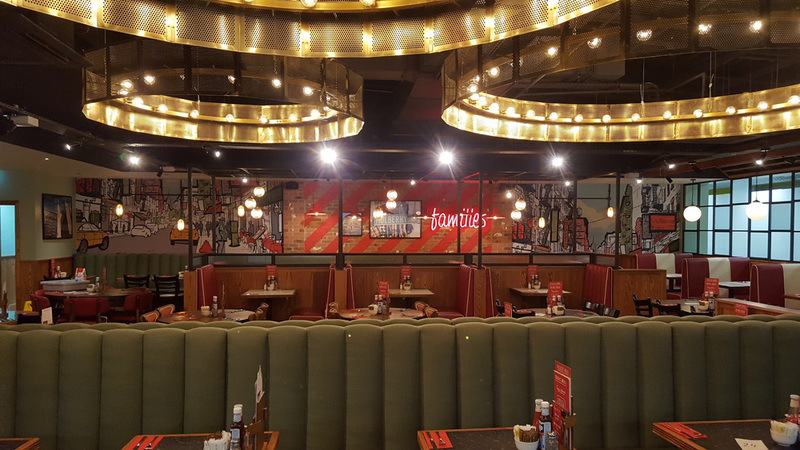 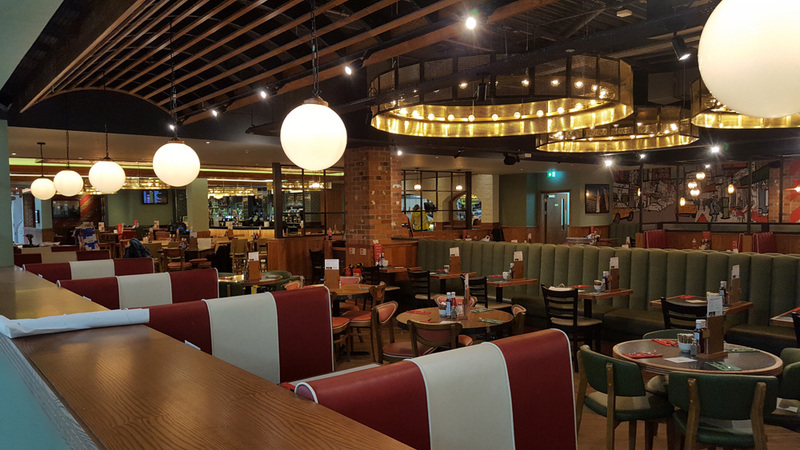 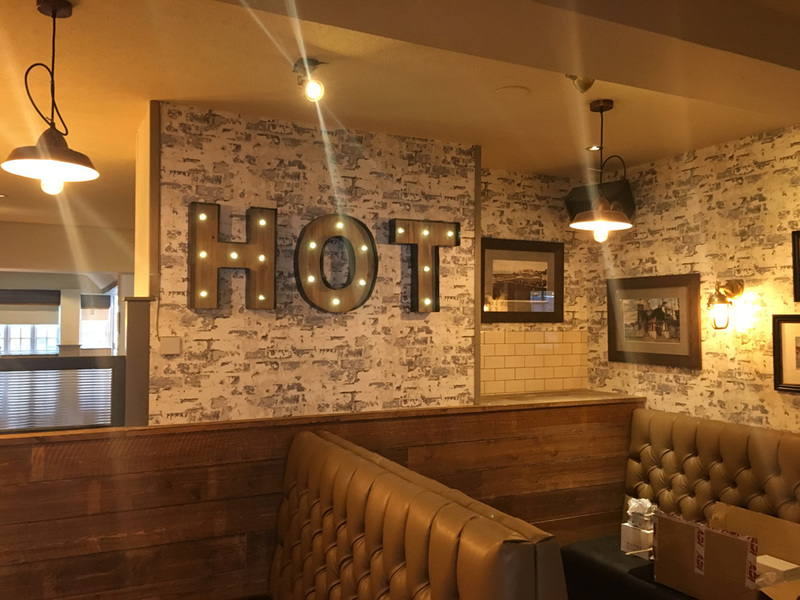 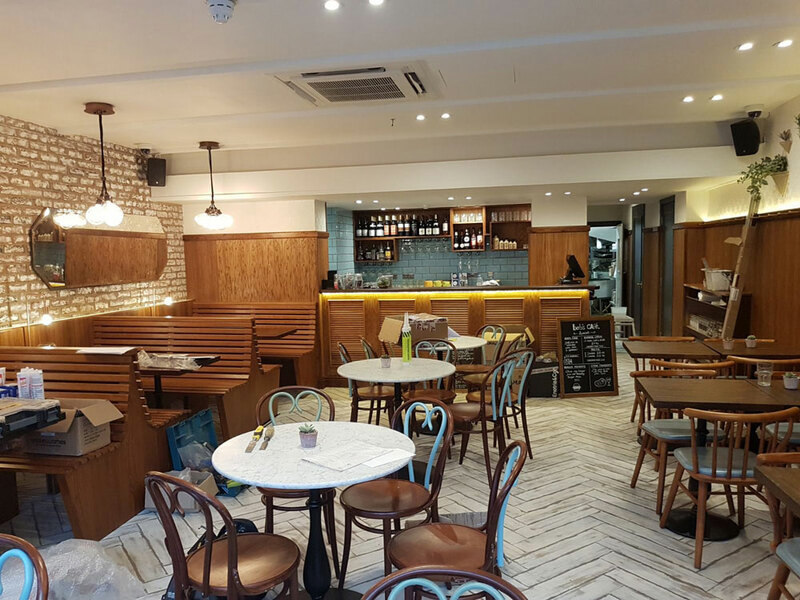 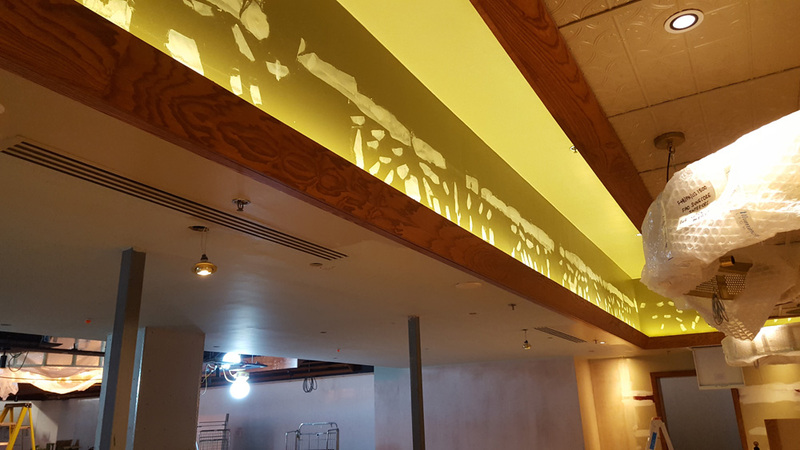 We have also recently carried out similar works to its sister restaurant in Bournemouth to the same high standard. 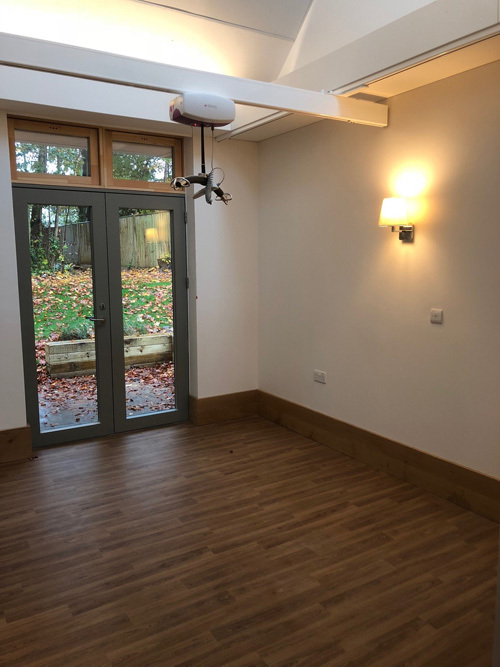 Hindson House is a complex which caters for younger patients who need palliative care as a respite centre for parents to give them a small rest. 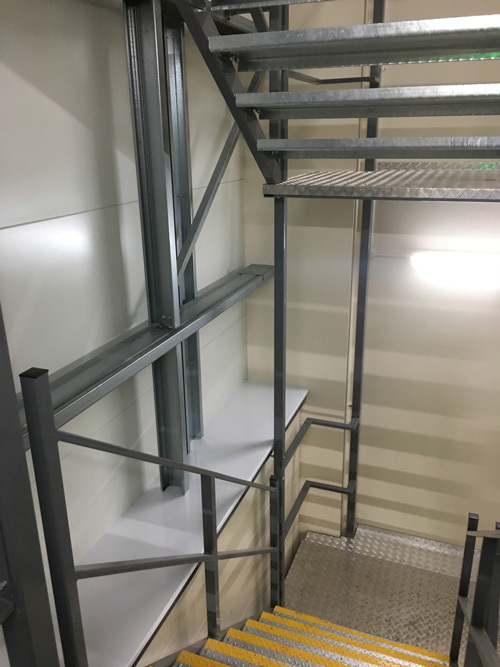 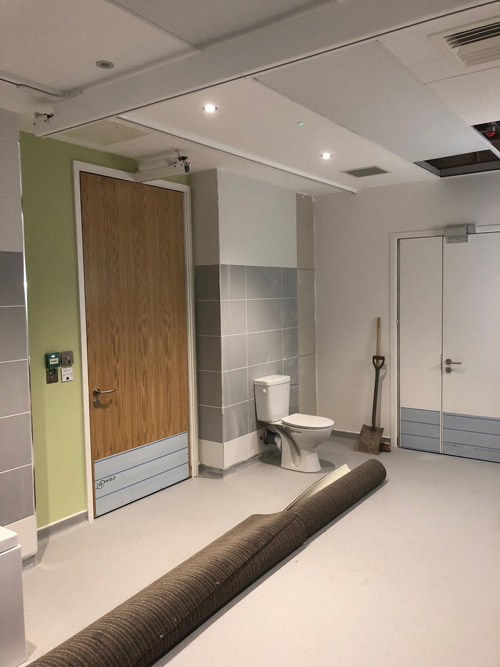 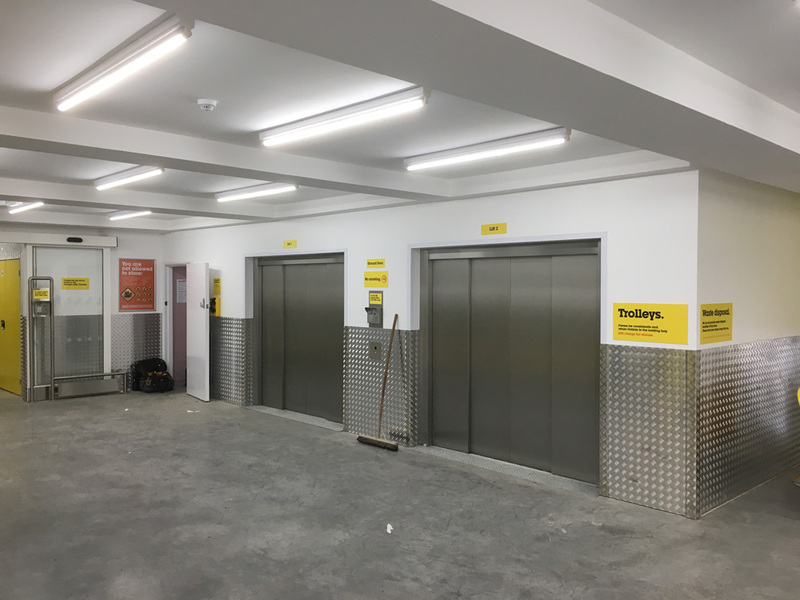 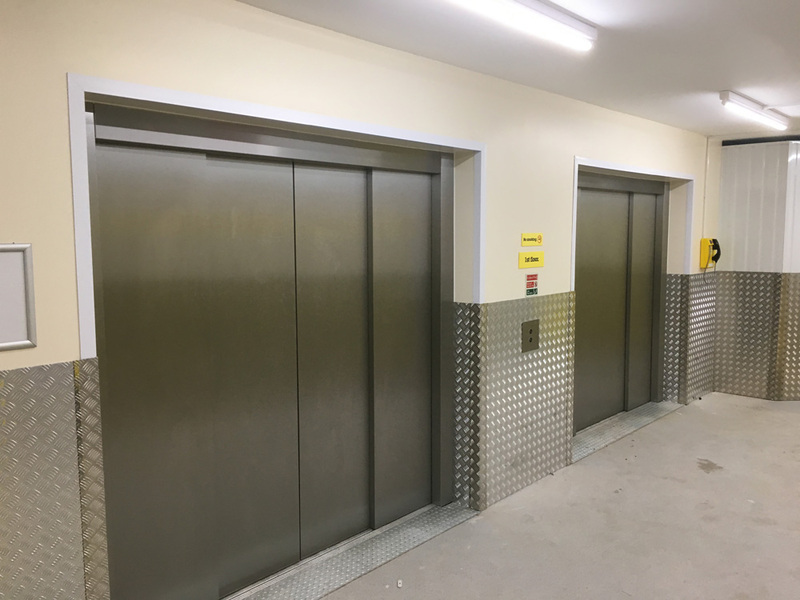 All works had to be carried out while the facility was open, this was another job completed to a top-quality standard, on time and within budget, another happy client. 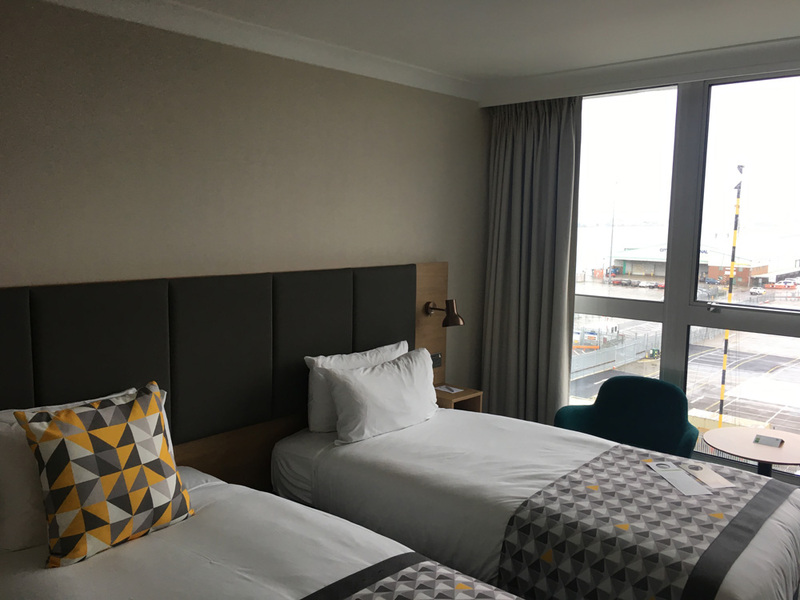 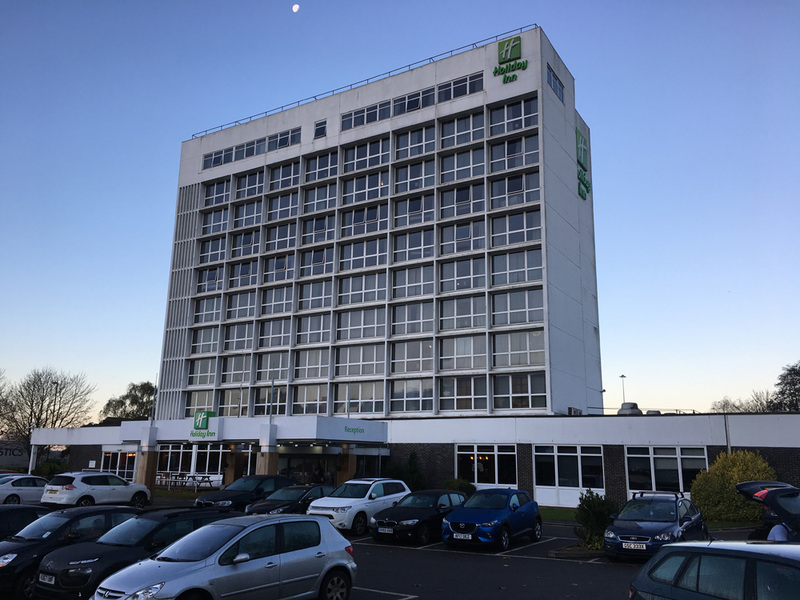 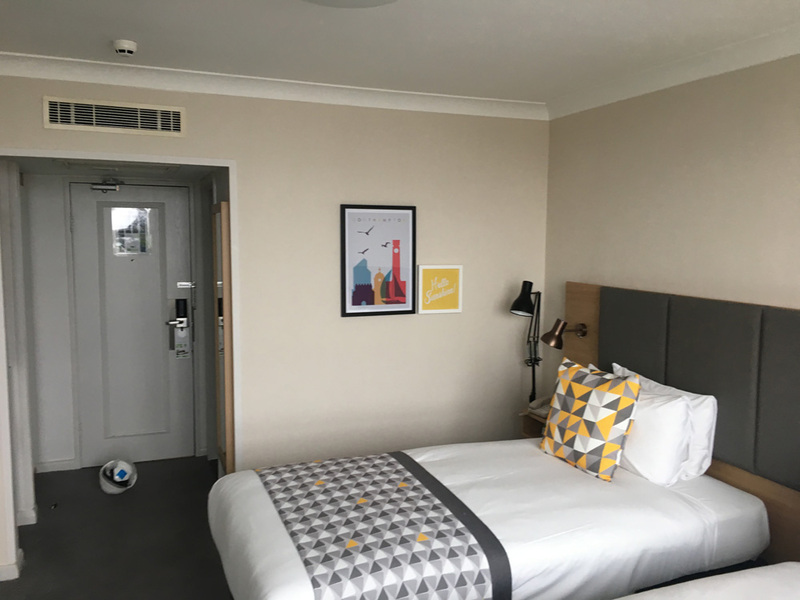 This large hotel situated near Southampton Docks is primarily used by tourists, business people and holiday makers just about to be whisked away off on a cruise. 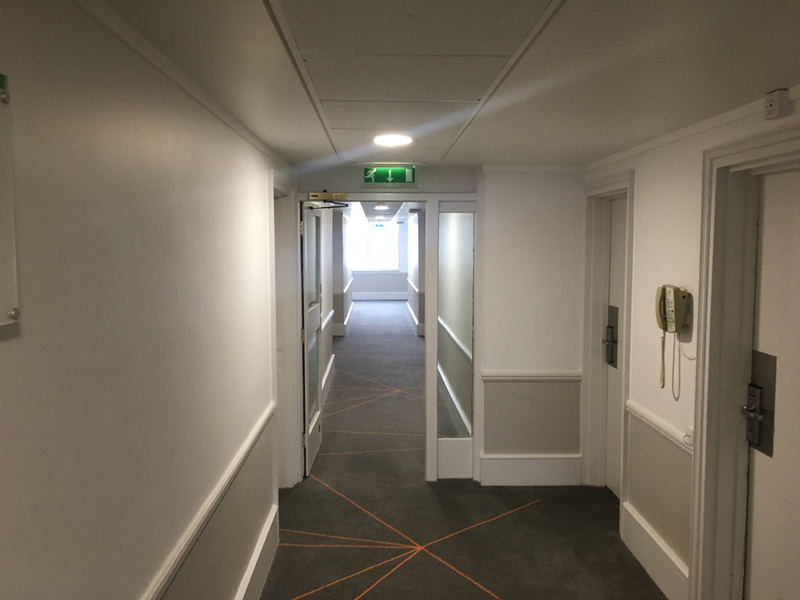 The hotel was in need of a makeover, we were awarded the decorating contract for 98 rooms spread over 7 floors including corridors. 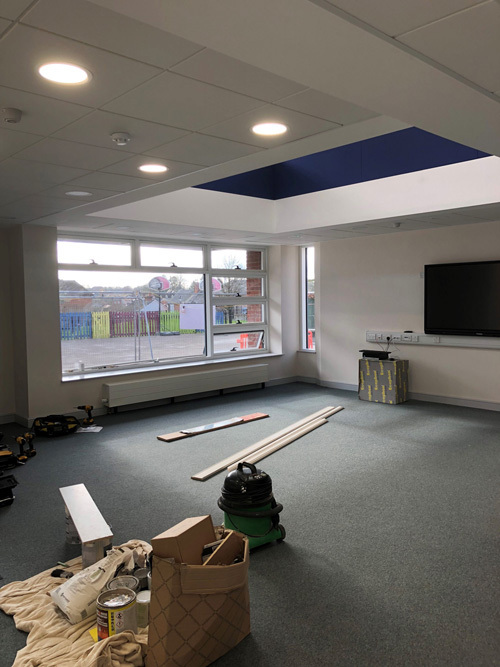 Due to the nature of the programme, we had to work alongside other trades including Carpet fitters and Carpenters, this was a very challenging at times and everyone rose to the occasion and delivered on time. 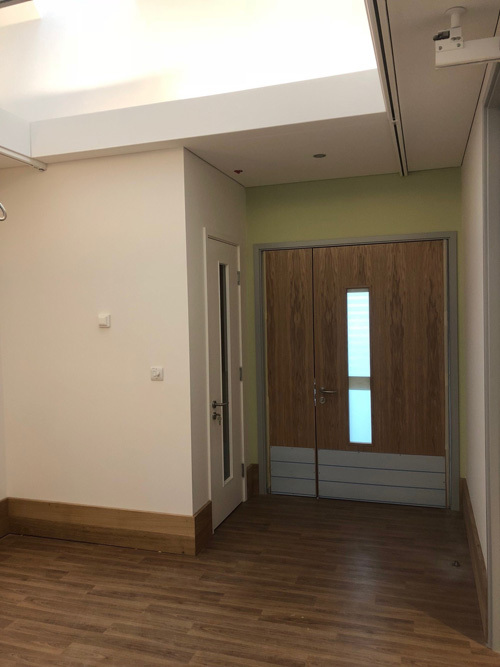 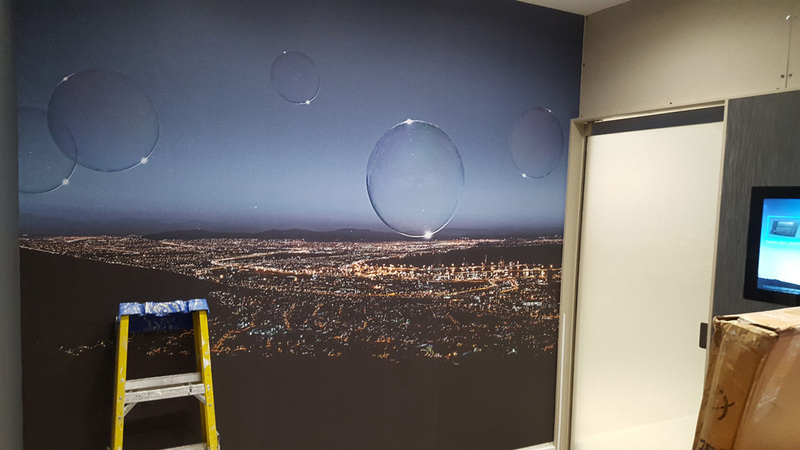 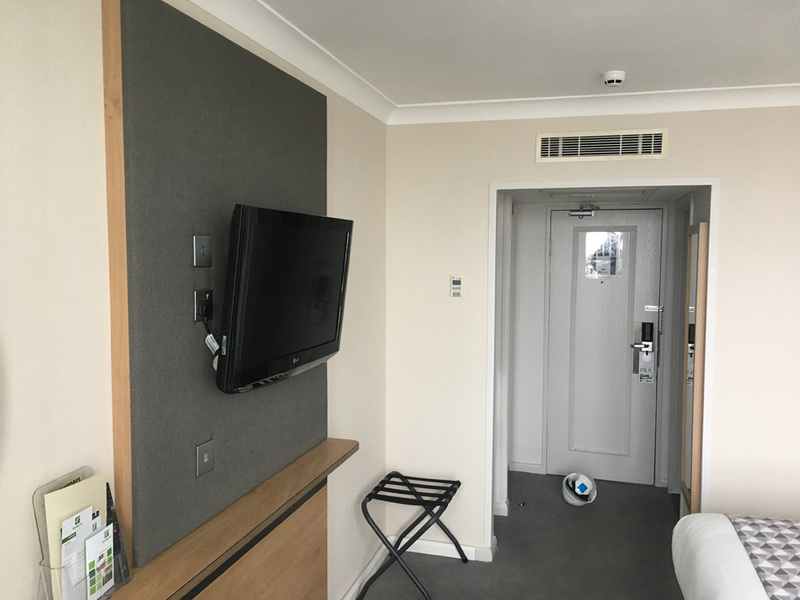 All rooms had Muraspec Wide Vinyl paper installed to the walls, all woodwork has been finished in Dulux Satinwood and Dulux Vinyl Matt on the corridor walls. 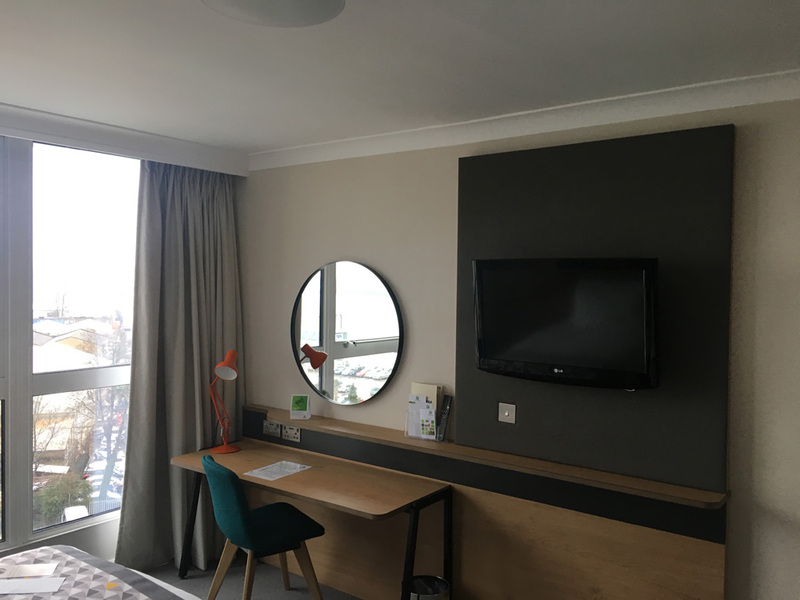 We have just started on our next Holiday Inn at Earls Court in London. 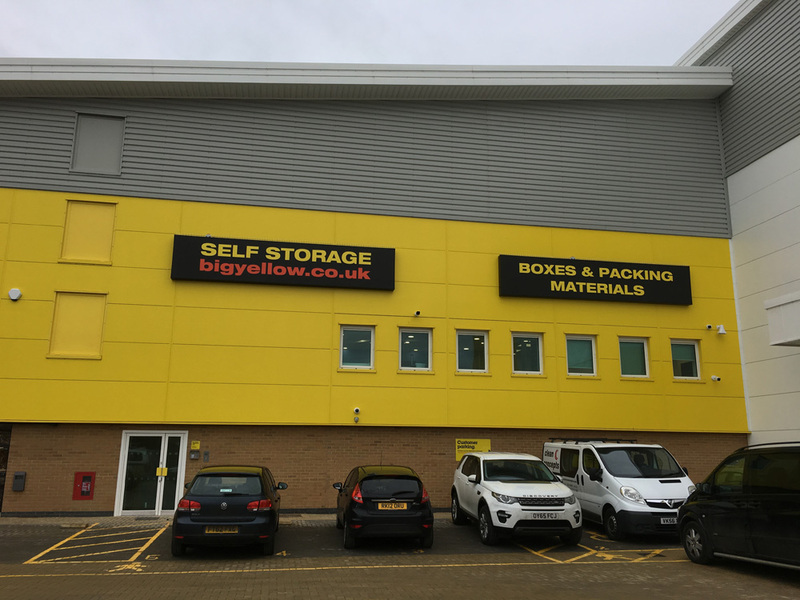 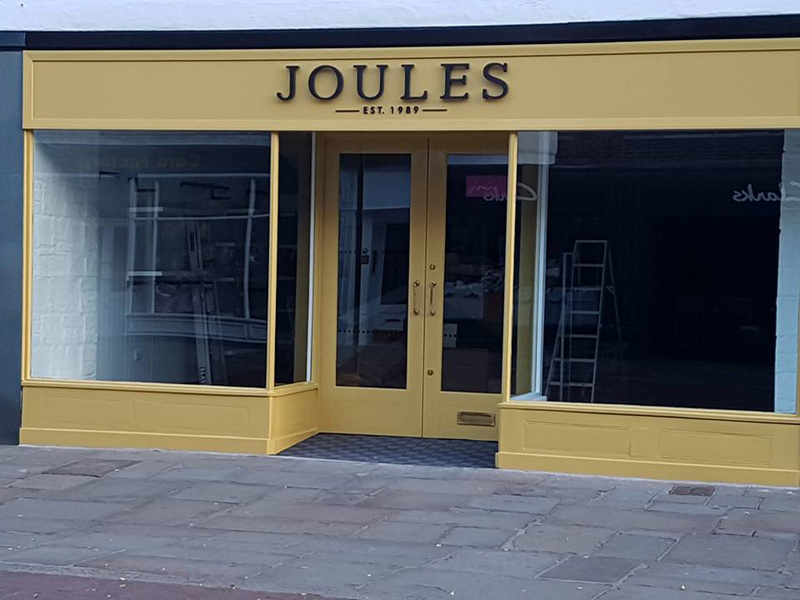 This trendy high street outlet has been steadily growing in recent years, meaning them moving into larger premises, Joules mixture of subtle off whites mixed with their bright yellow colour brand looks great, with T&G boarding and exposed beams. 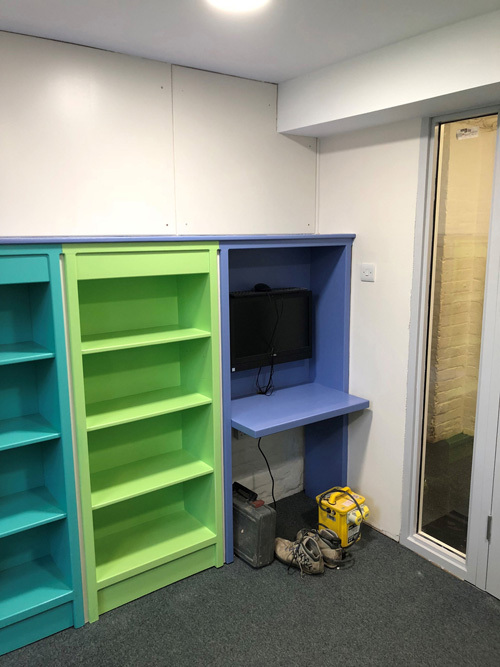 The client was extremely happy with our standard of work and has led to further works on Joules projects. 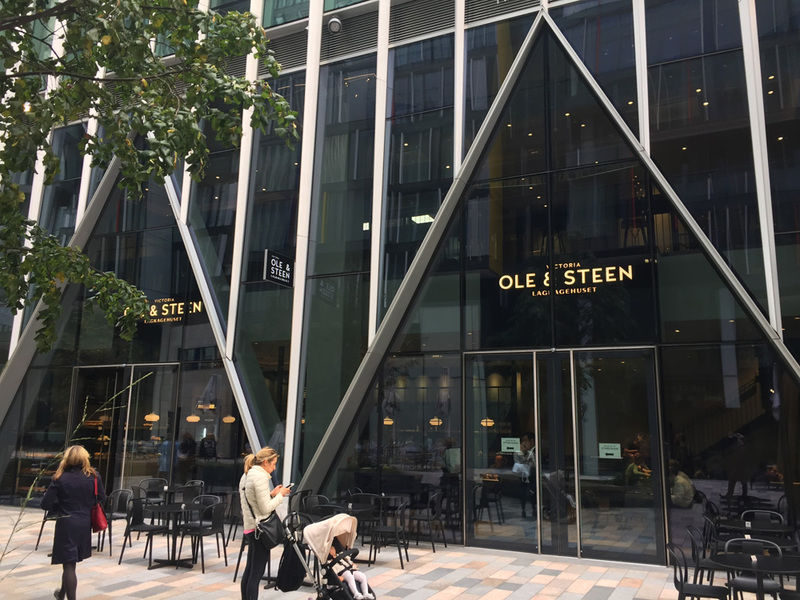 Created by Ole & Kristoffersen & Steen Skallebaek in 2008, primarily based in Denmark they decided to broaden their business. 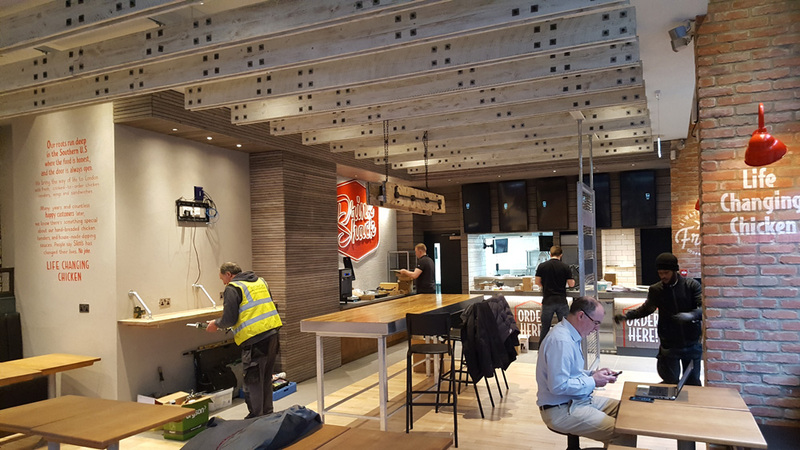 Arriving in London in 2016 each bakery is renowned for its outstanding quality with bakers working through the night to ensure the freshest breads, pastries, sandwiches and cakes are available at any time of day. 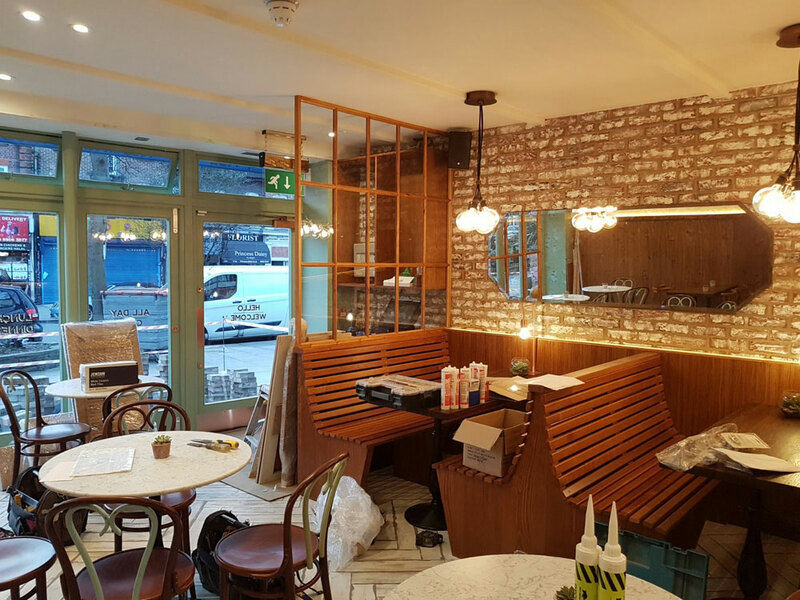 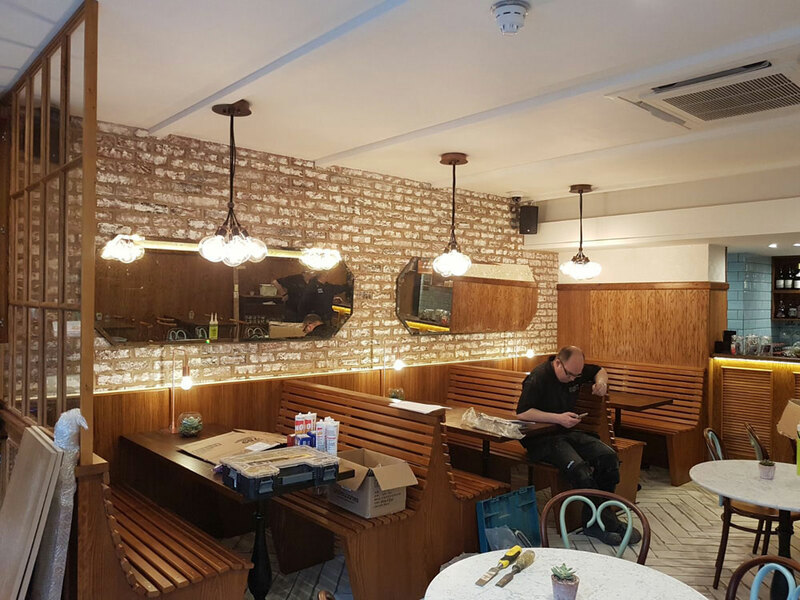 In the last two months we have completed three Ole & Steen Bakeries in central London (Canary Wharf, Bedford Avenue and Victoria) they have all been decorated using Dulux Diamond Matt for a more durable finish and Dulux Eggshell on all woodwork. 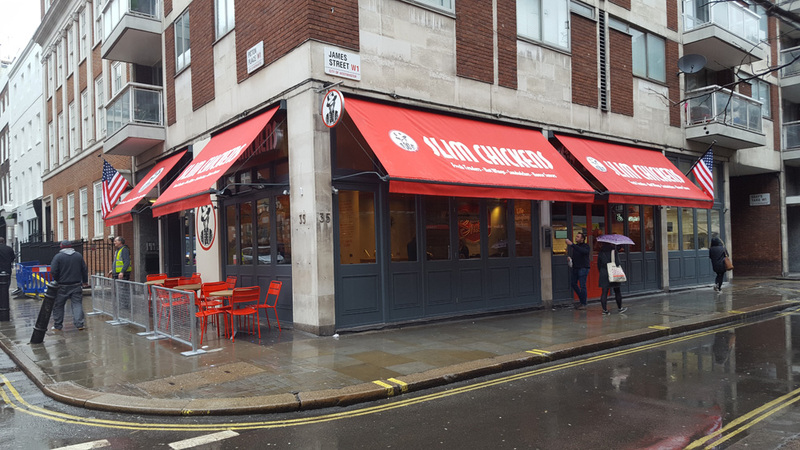 We have since been awarded the next two in Wigmore Street next to Selfridges and High Street Kensington. 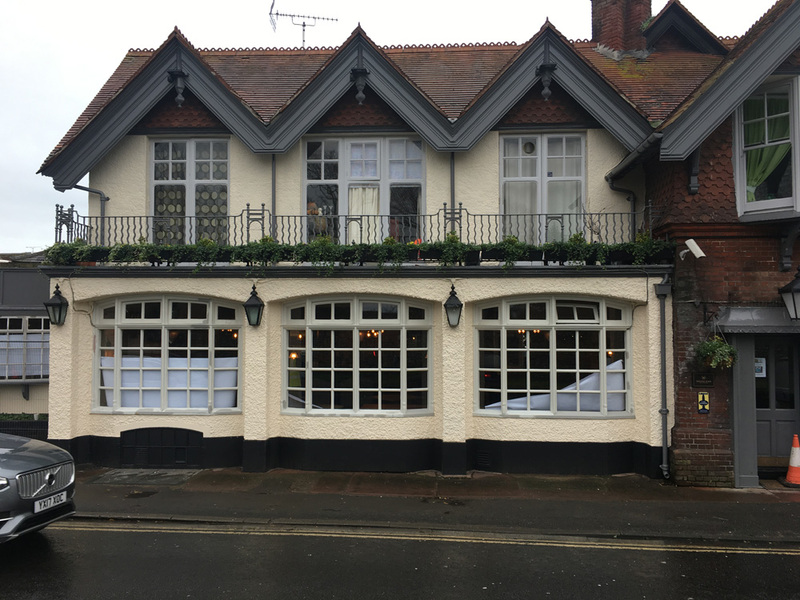 A building very well known to us as we had already decorated it under its previous guise as “Burgers & Cocktails” this was another challenging job with a very quick turn around which was completed on time with stunning results! 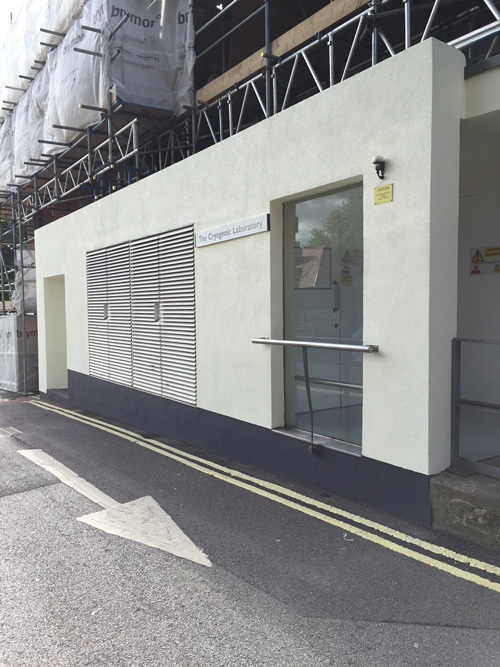 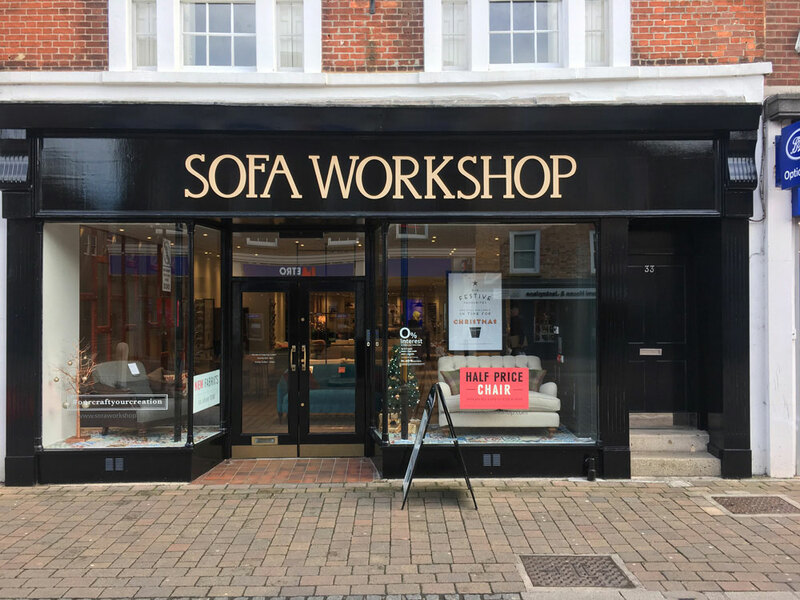 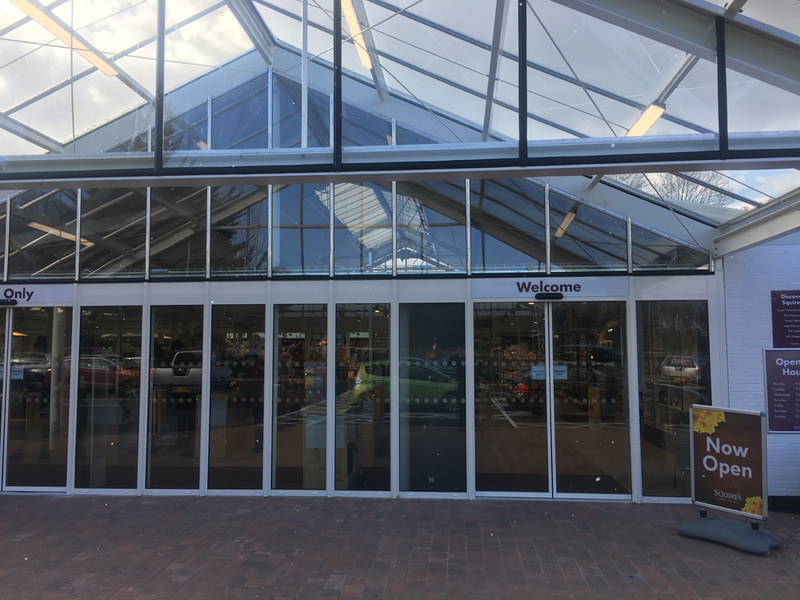 This is just one of a few Sofa Workshops we have completed, this external shopfront was in a bad way, extensive preparation and a lot of effort resulted in another very happy client.  All the time being vigilant to the general public as it’s a very busy road. 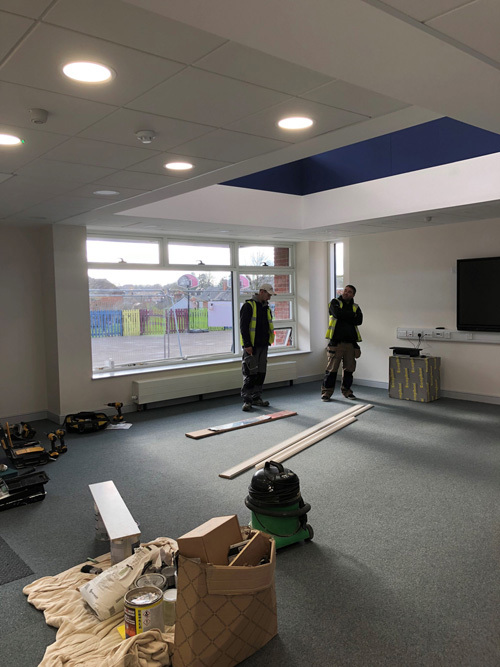 We have worked on this site for various Main Contractors, this particular project included classrooms, hallways and external windows and masonry. 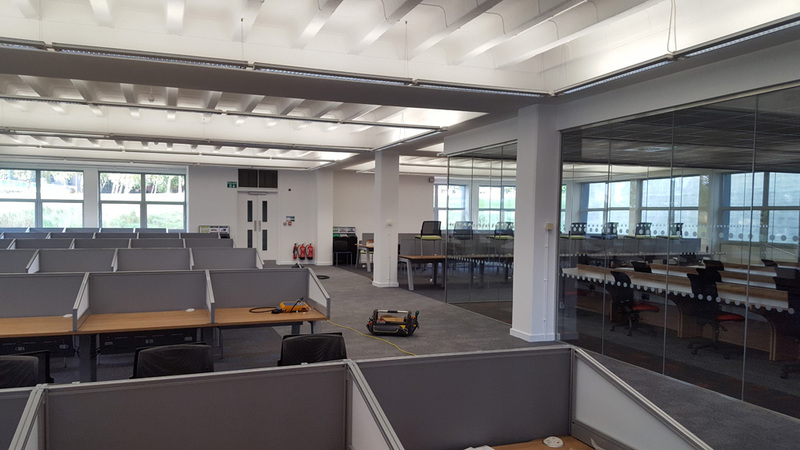 All the works were phased due to the busy nature of the University something we are very used to managing as a company. 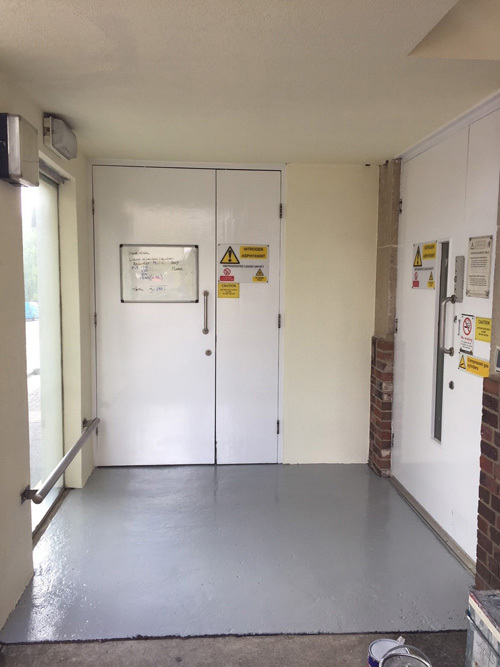 We carried out these works straight after the Christmas break and it was a very cold site, the portal frame had to be tested for temperature many times to make sure the specification was followed. 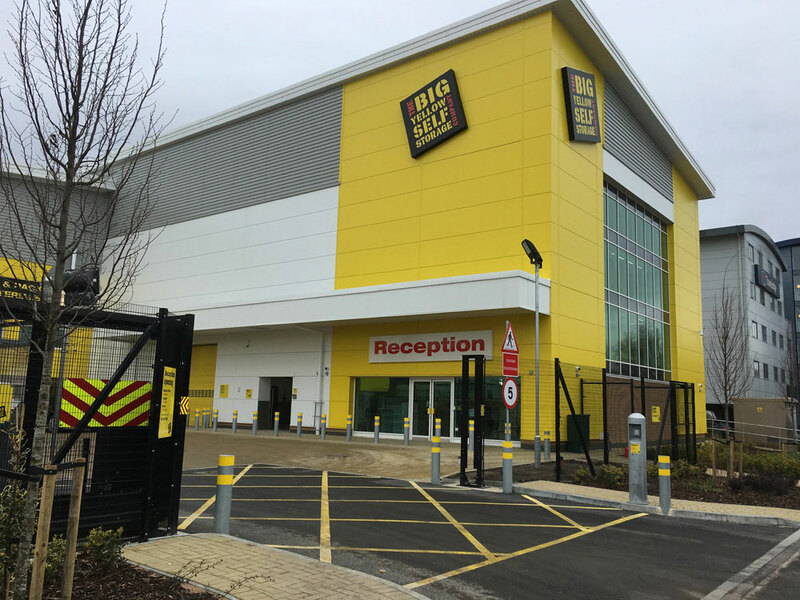 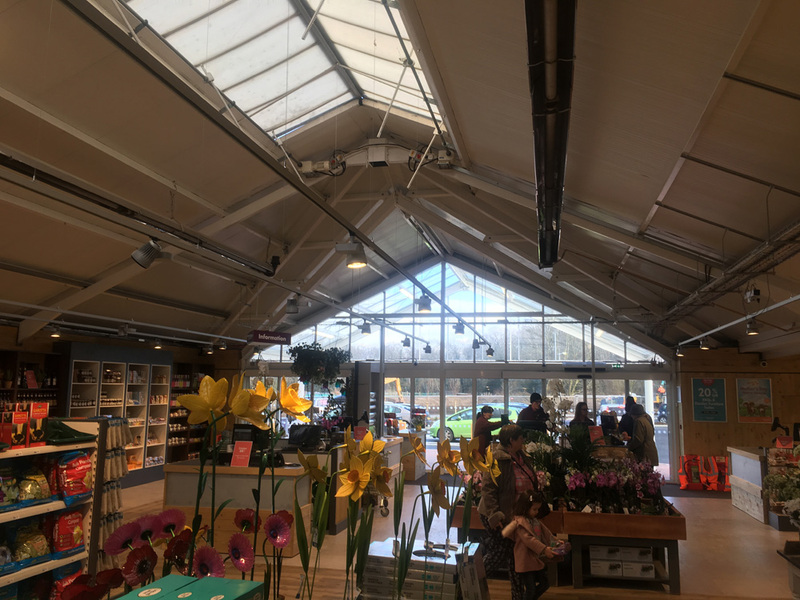 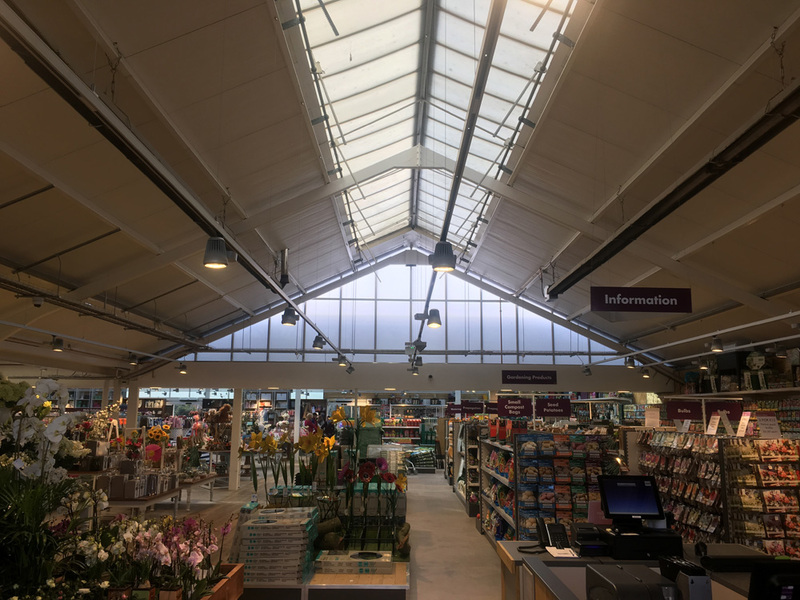 Eventually the winter relented and we could complete the works using specialised Metal Paint carried out by our IPAF qualified decorators on Scissor Lifts. 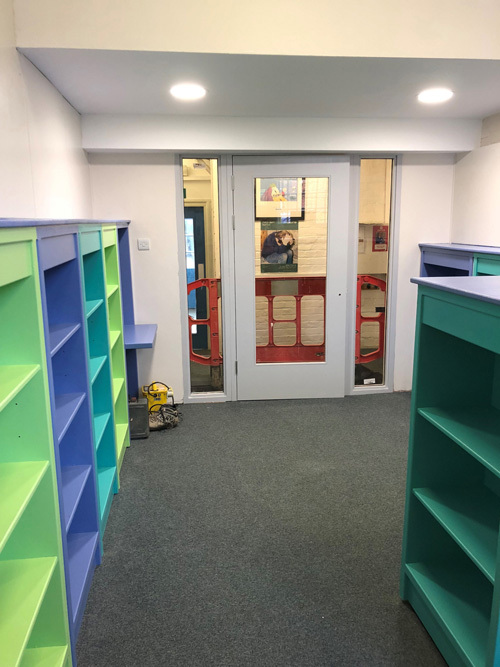 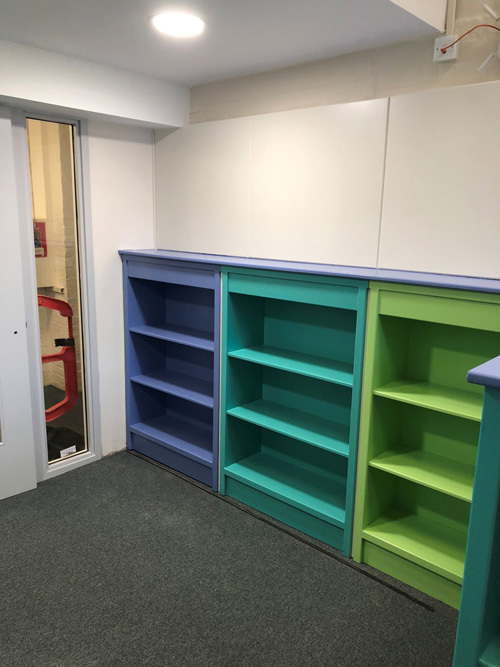 This lovely quaint school had an extension built to house a new classroom, after completing this we were then asked to decorate the small library including all the shelving, as you can see this had bought a small space into a vibrant area that the school children enjoy using. 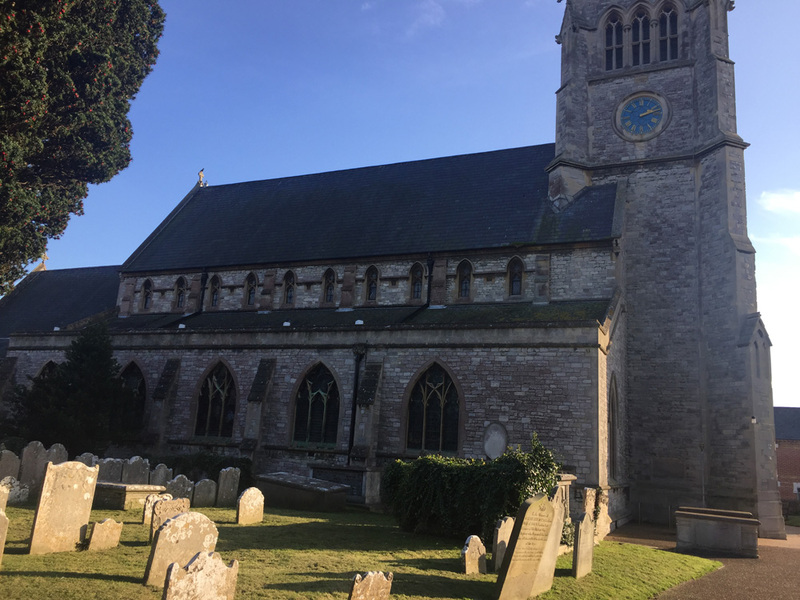 Situated in Alverstoke Village St Marys Church built in 1122 is very prominent on the landscape compared to its surrounding area. 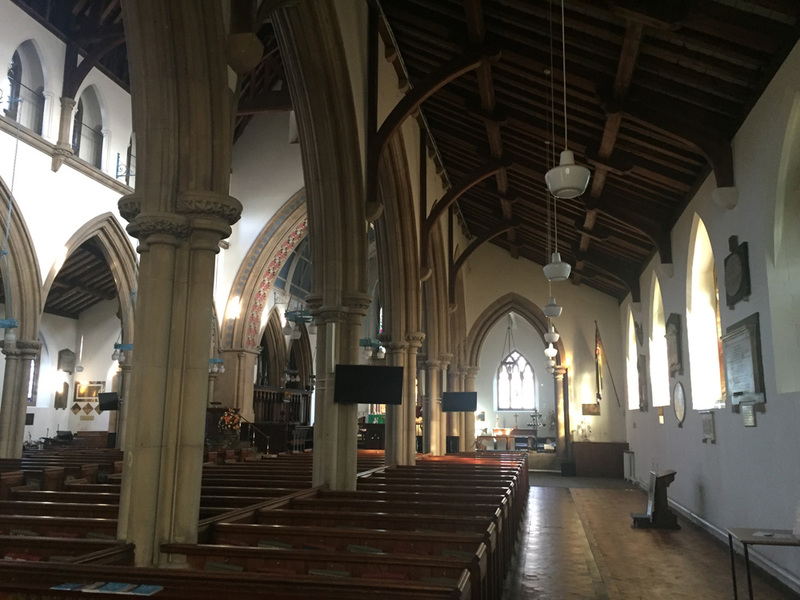 This important landmark was suffering badly with damp, predominately along the long walls in the knave area of the church. 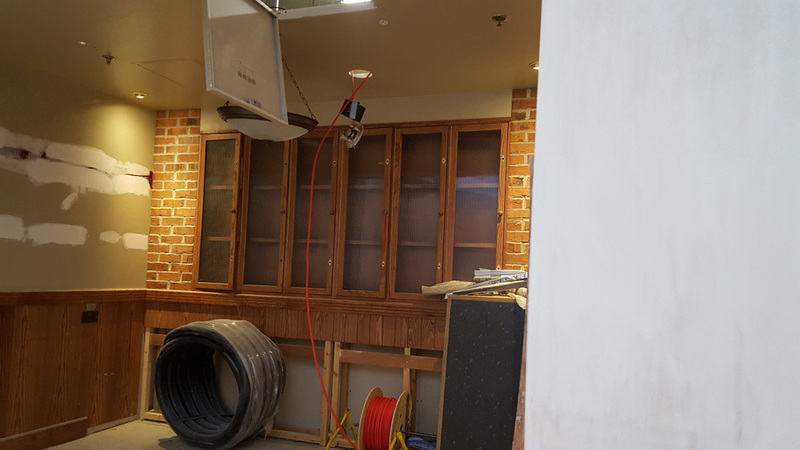 Once repairs were completed we got to work! 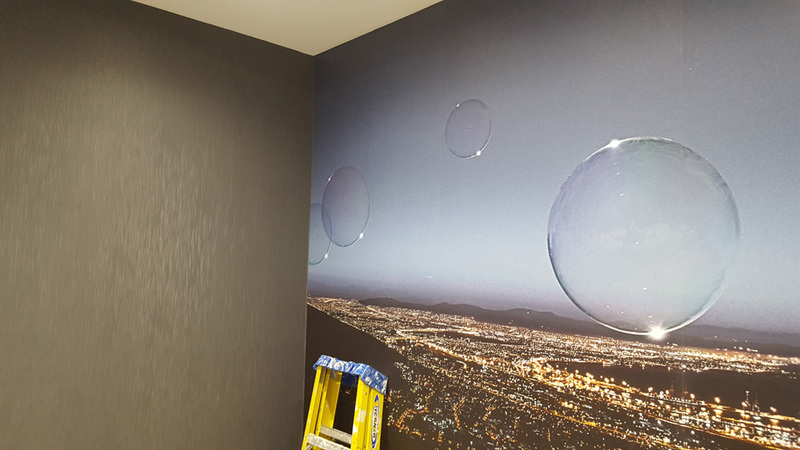 Scraping all loose surfaces these were stabilised and filled using appropriate breathable materials supplied Keim. 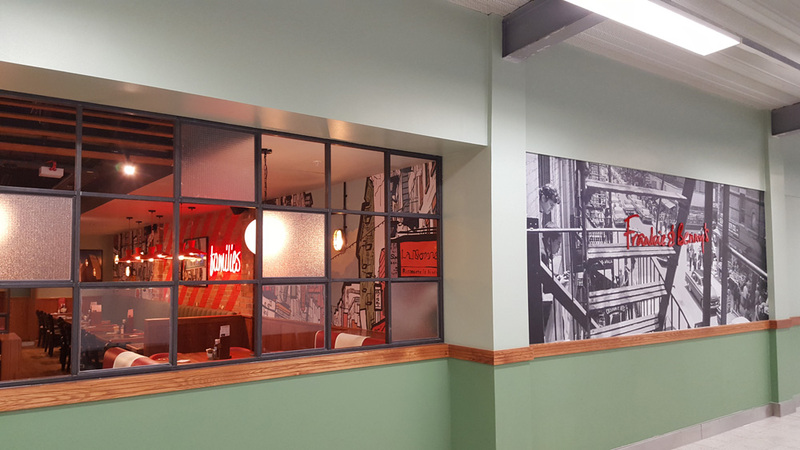 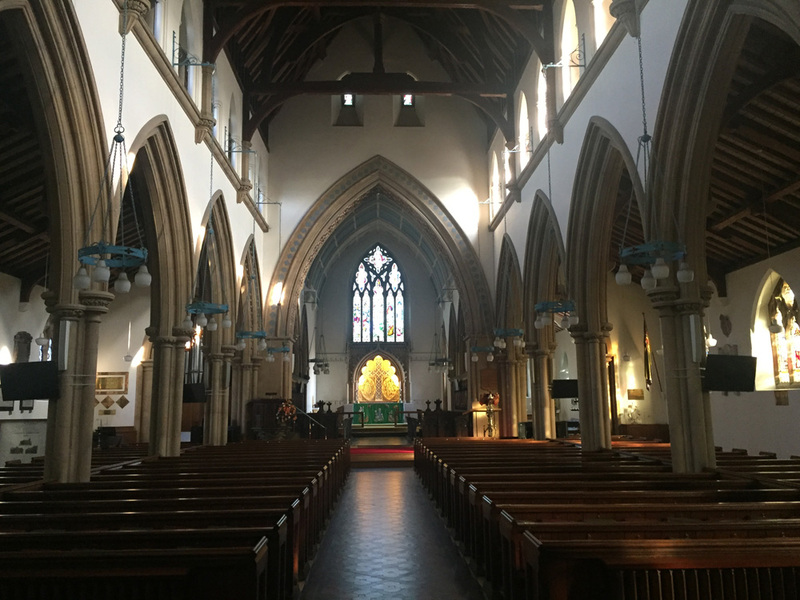 Keim specialise in products that let the walls breath and two coats of Keim Optil was the final stage of the process to transform the tired and damp walls into pristine walls that the local parishioners could admire. 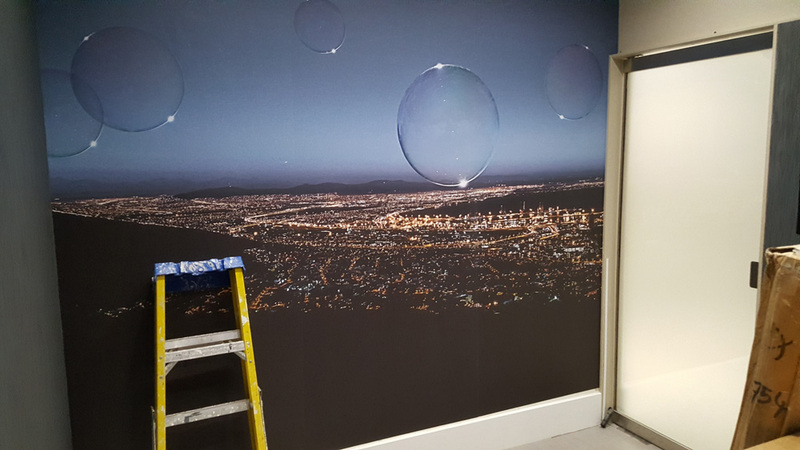 Although only a small project we had only one night to complete the display ready for the next working day, showing our flexibility we only knew about this project in the morning and managed to complete it the same night. 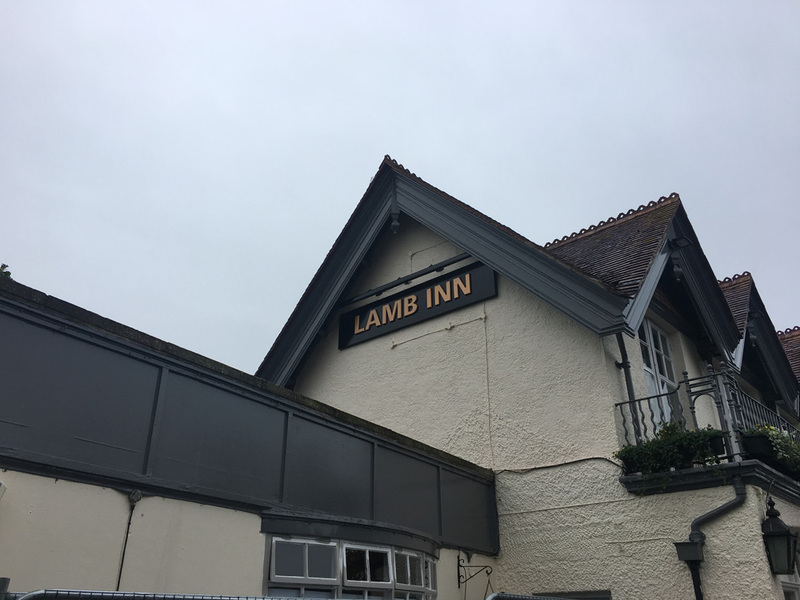 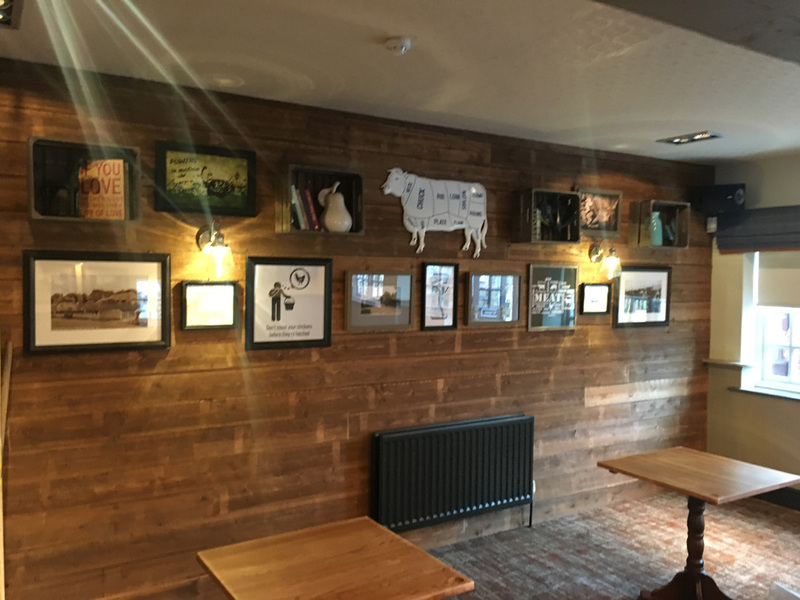 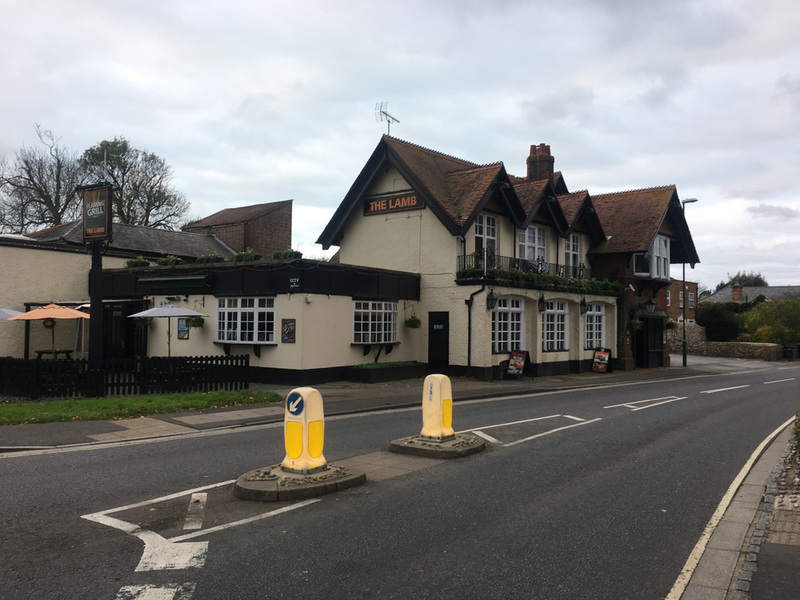 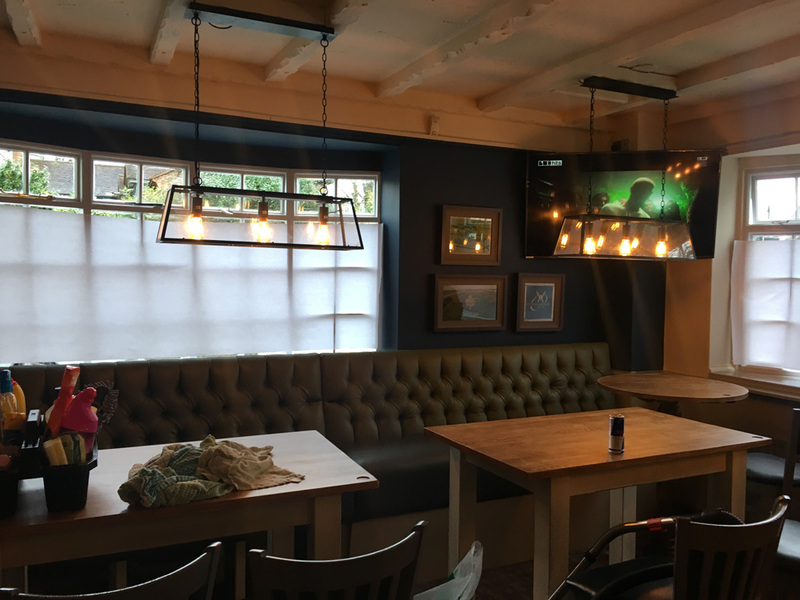 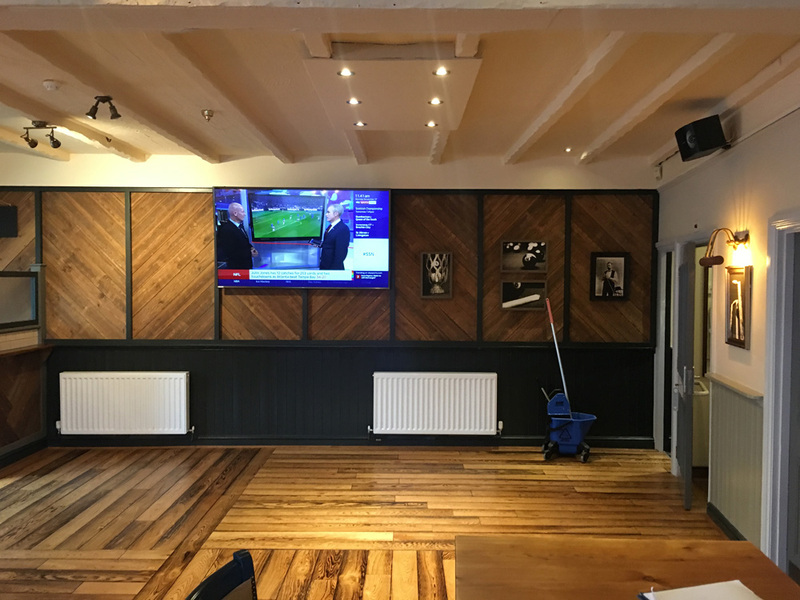 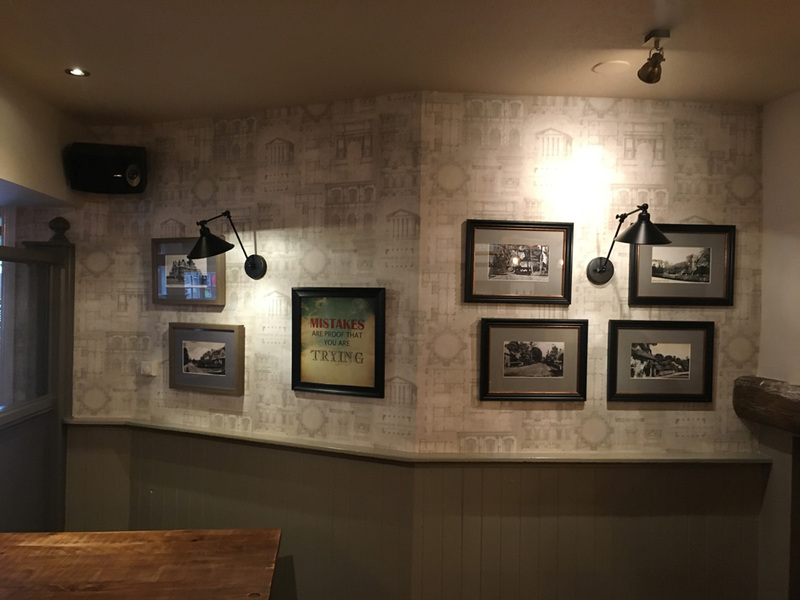 This lovely rural pub which was in desperate need of a make over consisted of all internal and external areas to be decorated, pubs are always challenging projects because of the many other trades on site but we always manage to work alongside them to make the job run smoothly. 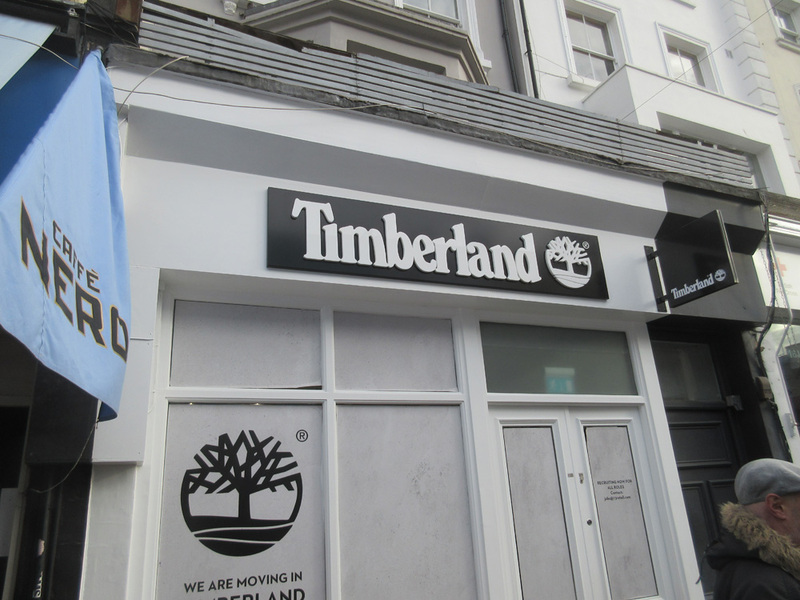 A small but interesting project in the lively Portobello Road, London. 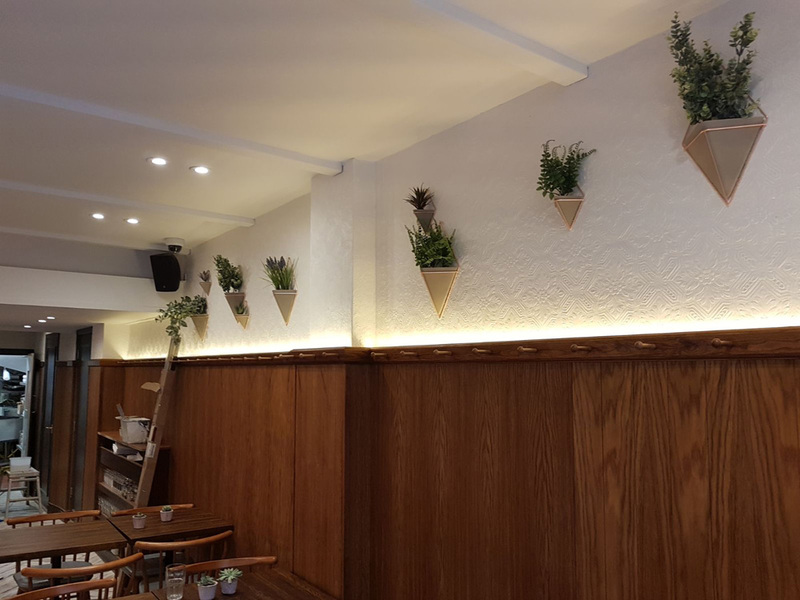 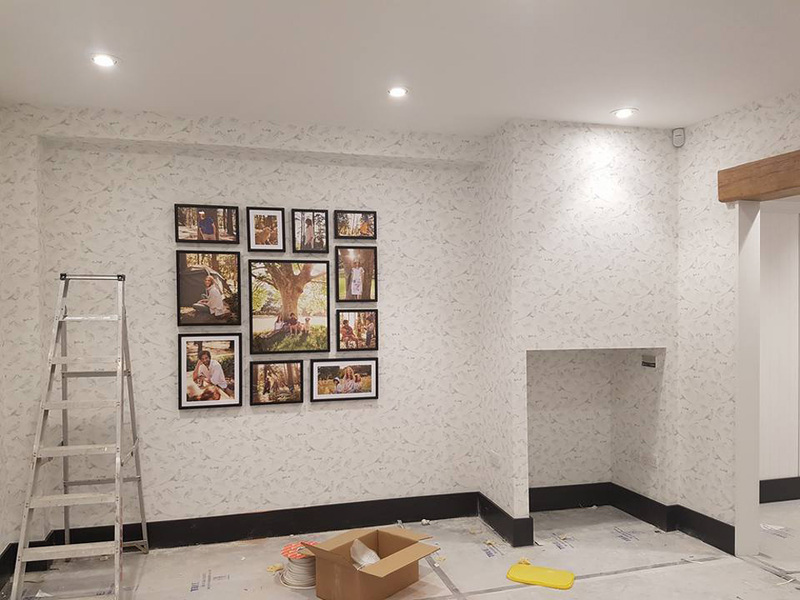 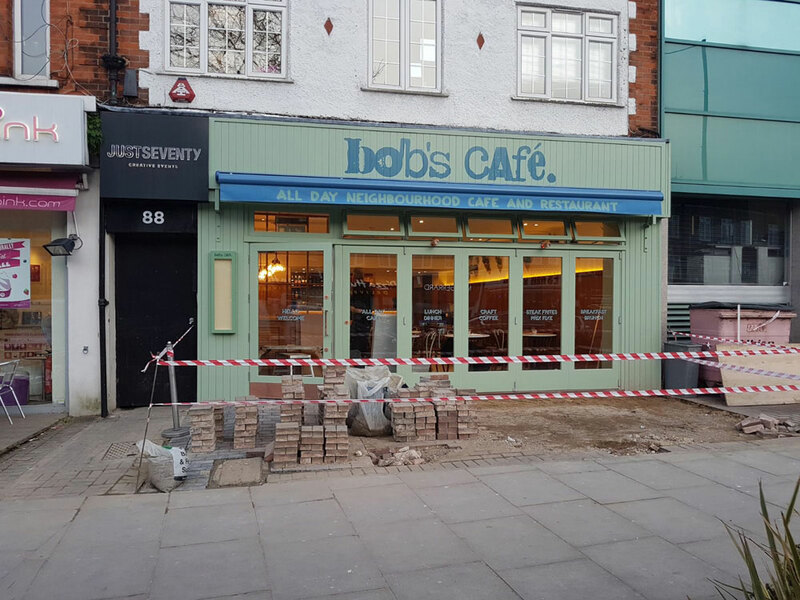 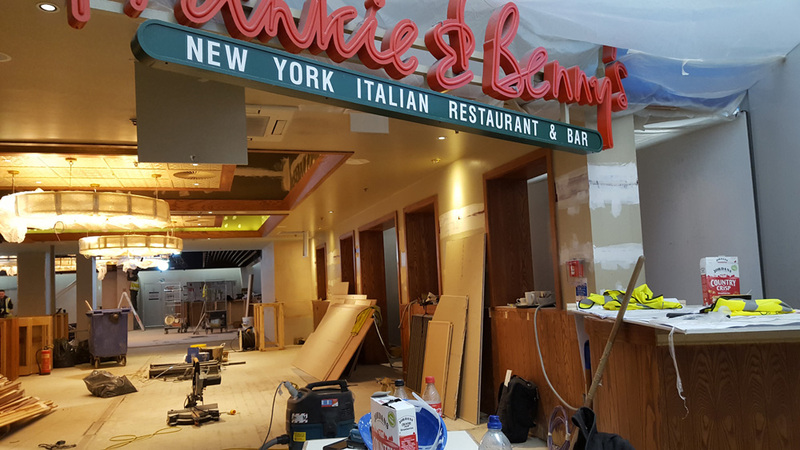 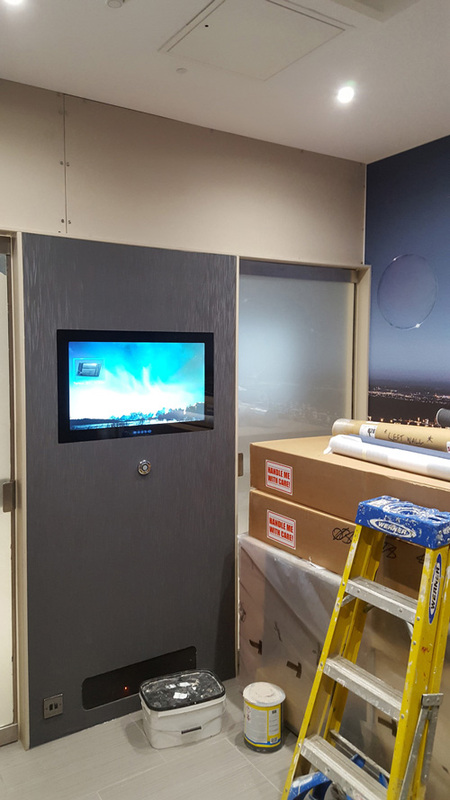 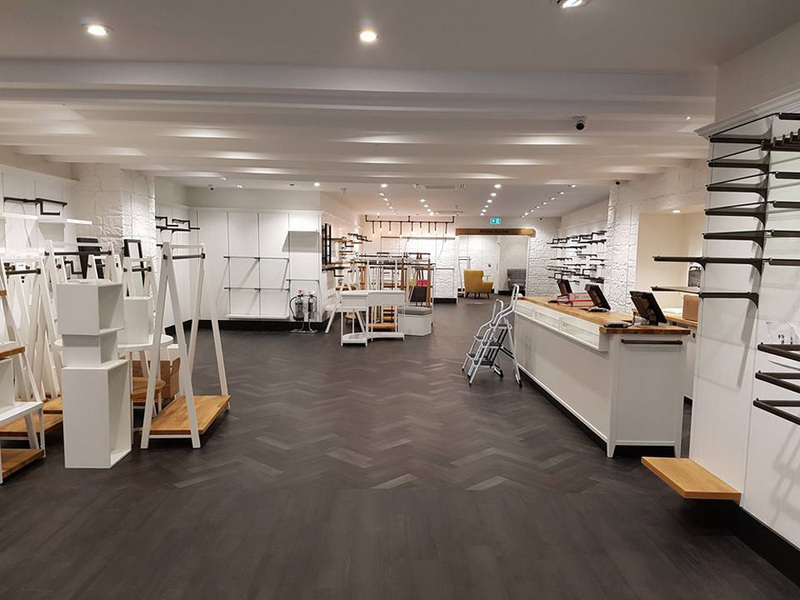 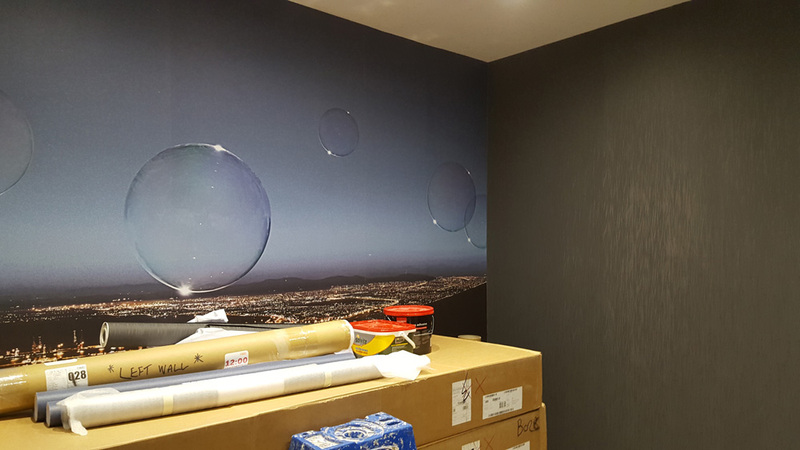 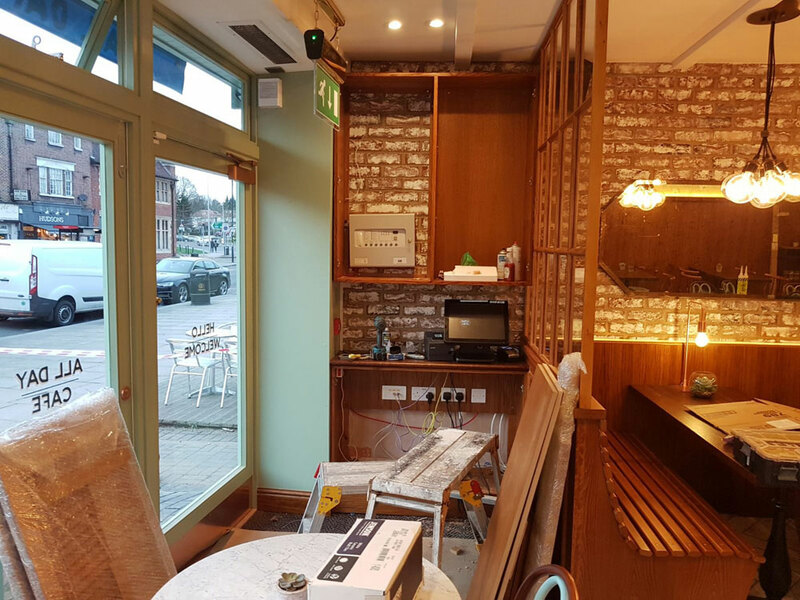 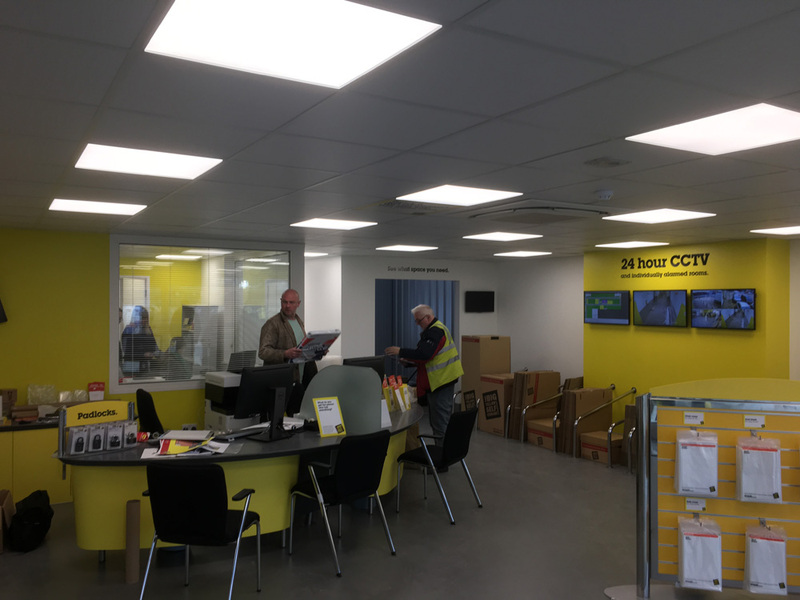 A quick turn around was required in just 4 days, ceilings, walls, woodwork, shopfront and wallpapering was delivered on time despite the hectic programme with all other trades. 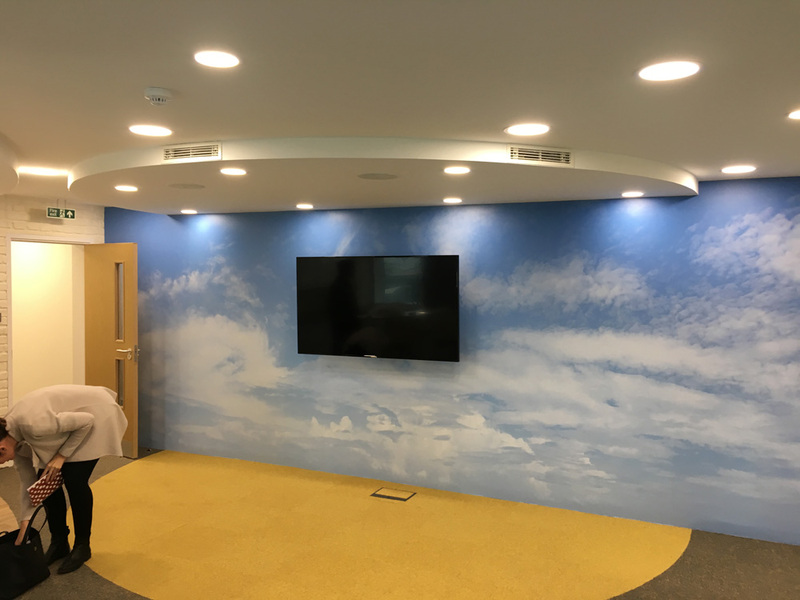 This was our first project for a new client which they were very impressed with and has led to more works.